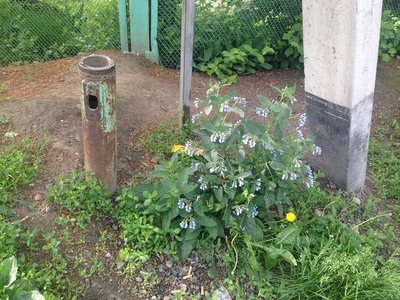 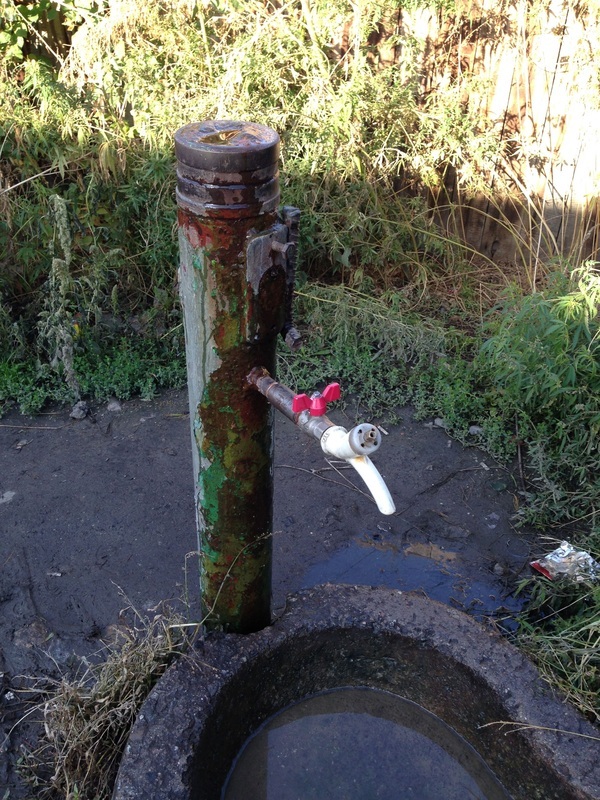 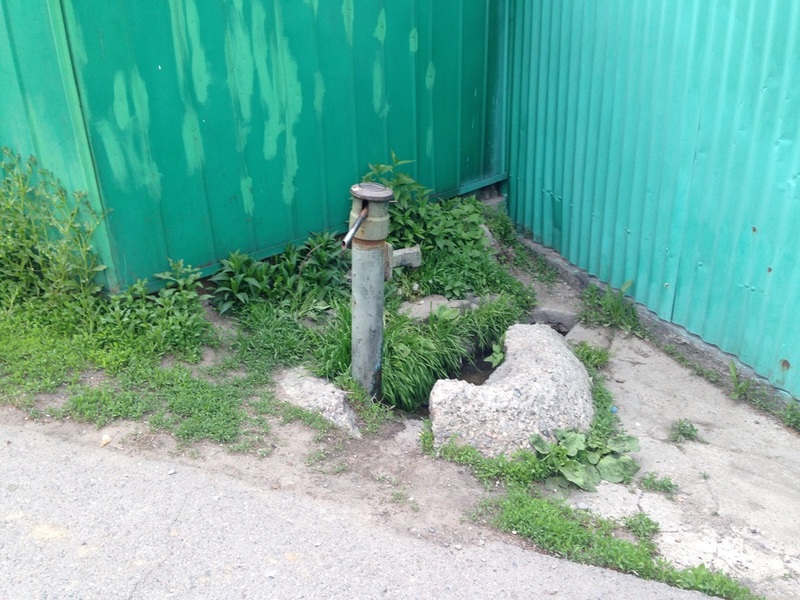 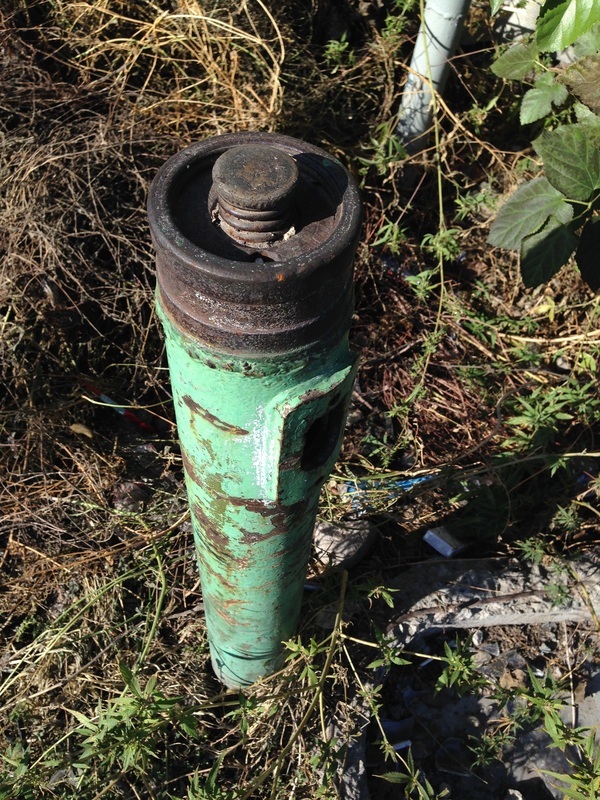 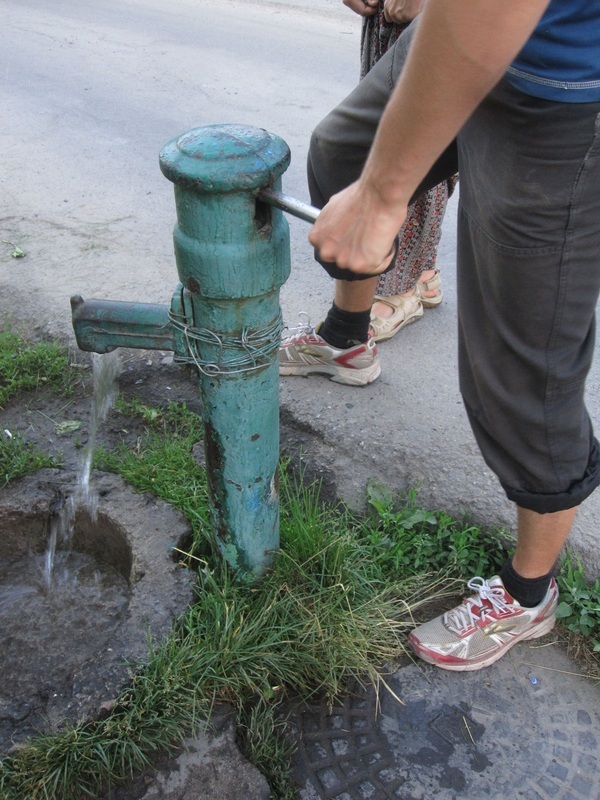 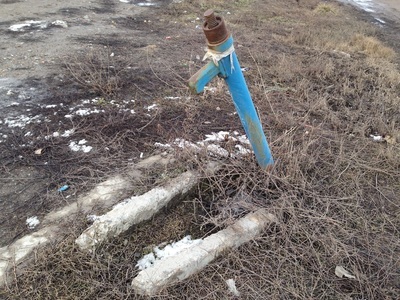 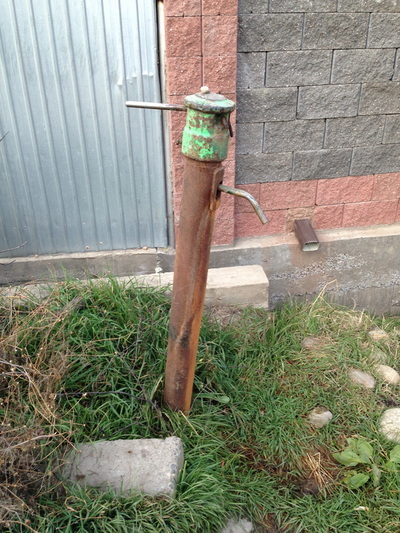 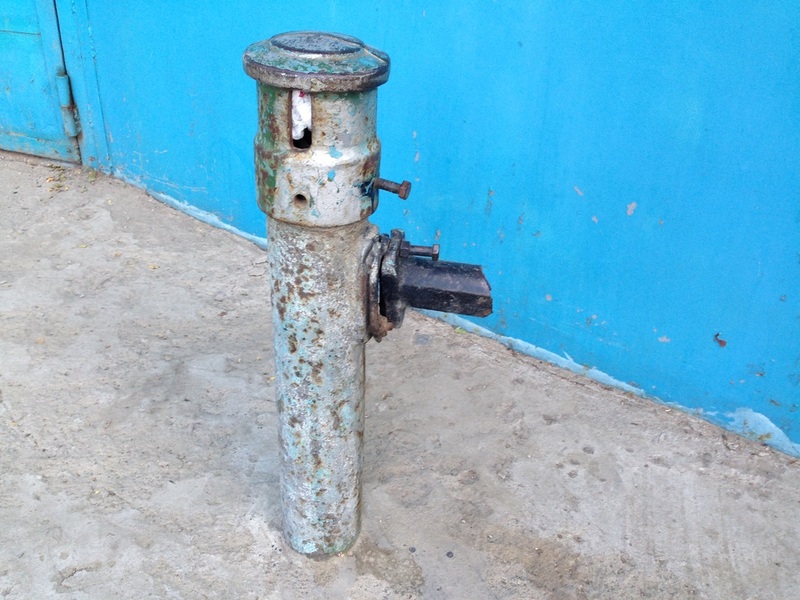 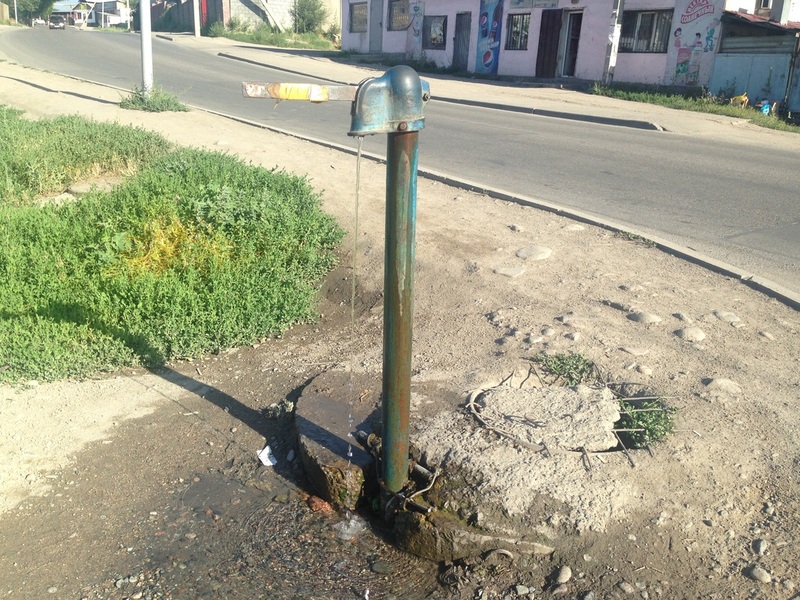 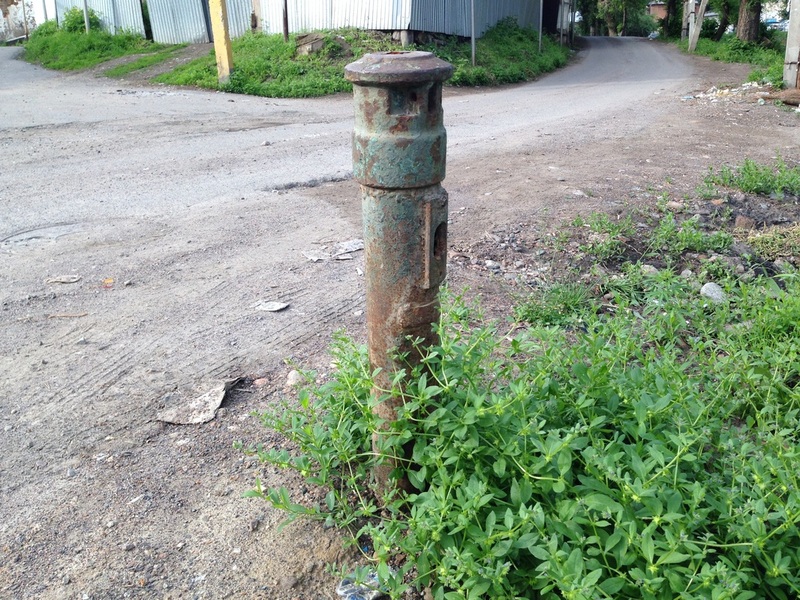 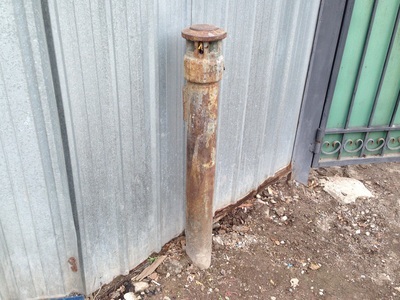 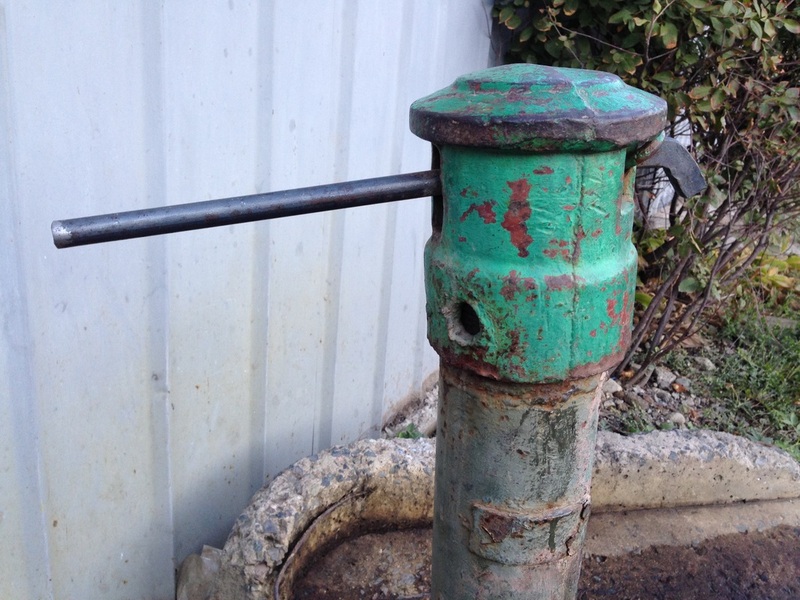 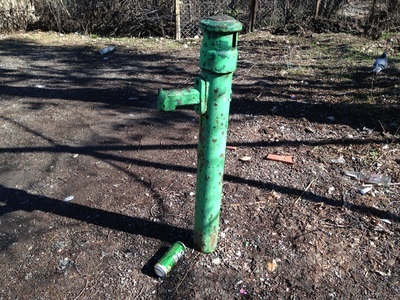 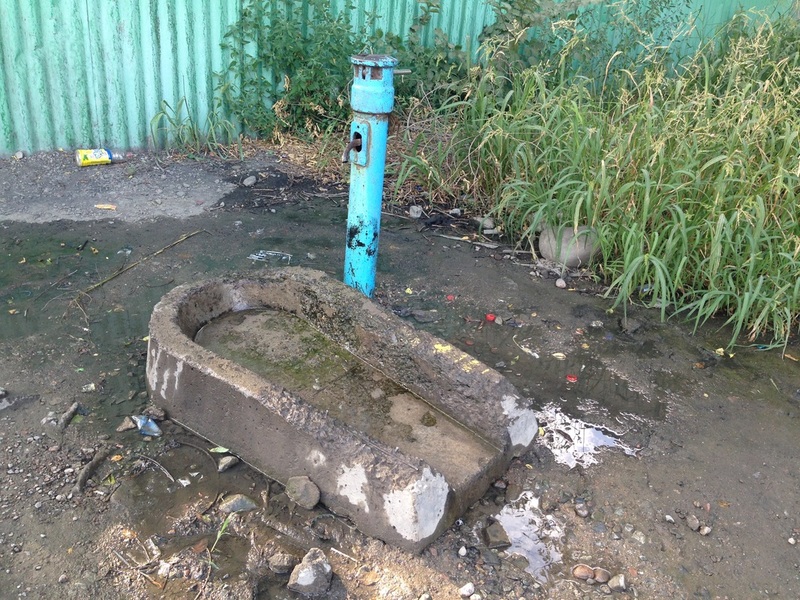 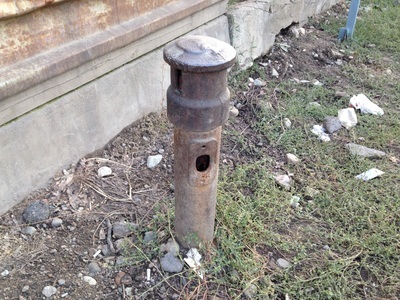 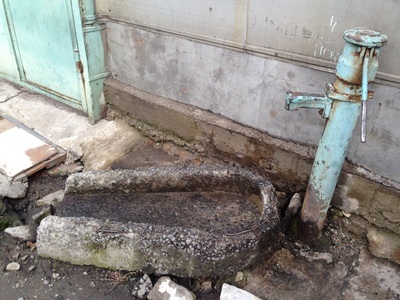 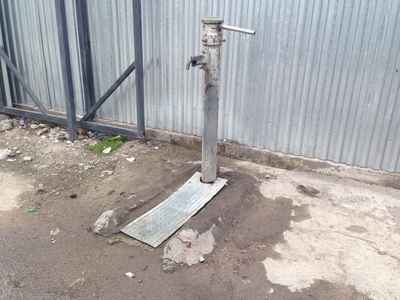 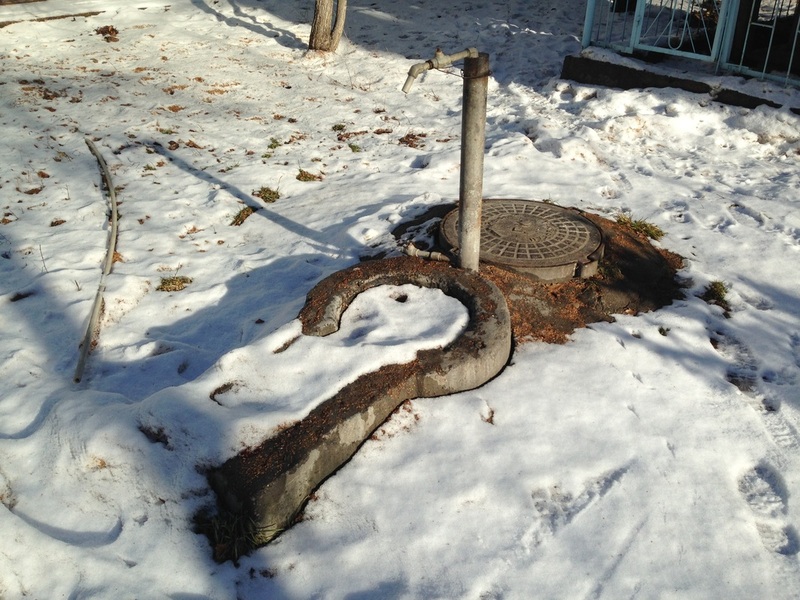 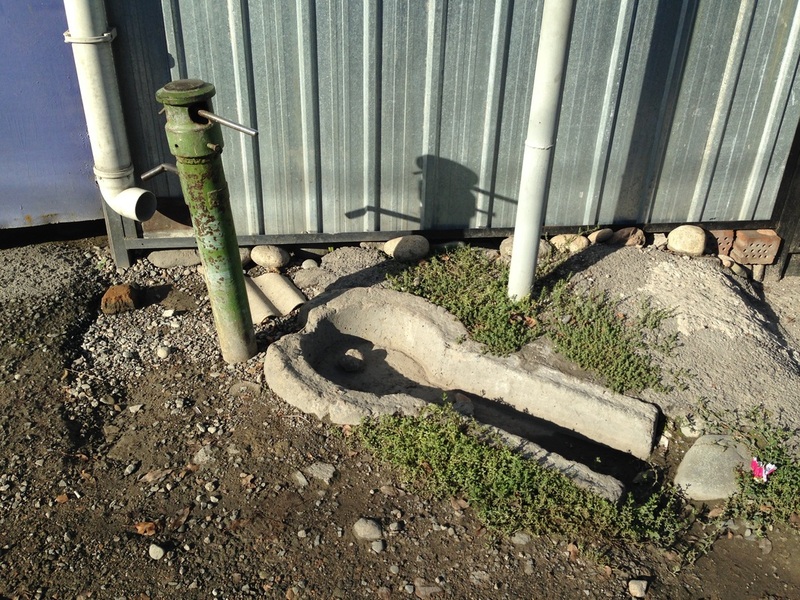 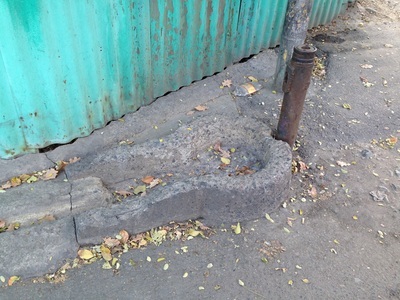 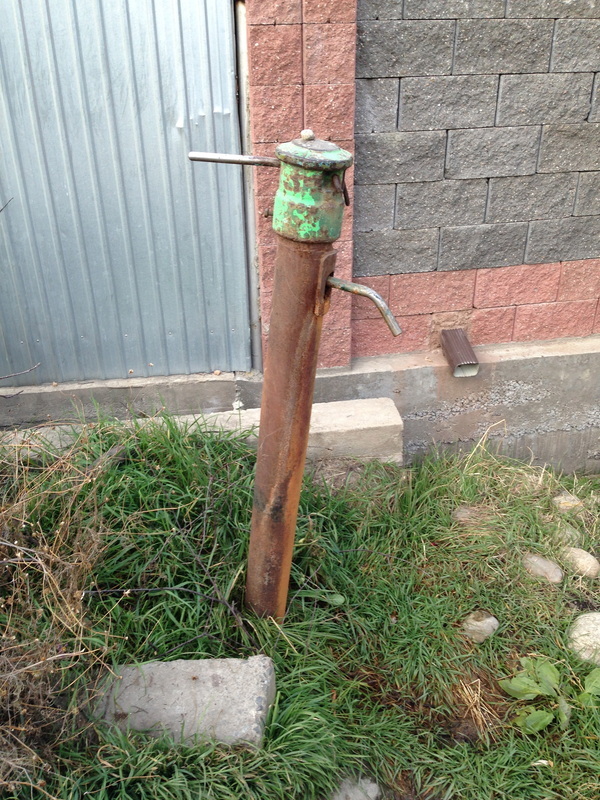 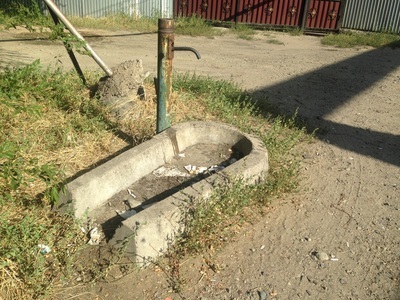 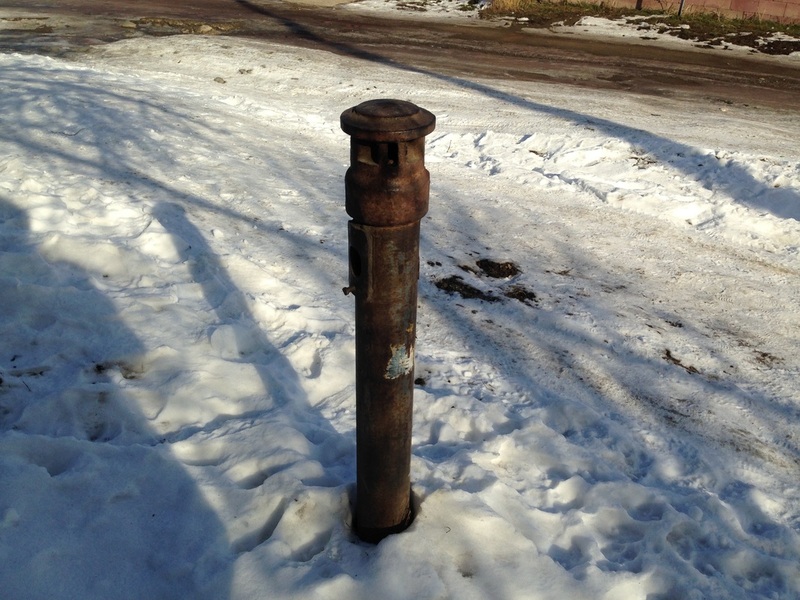 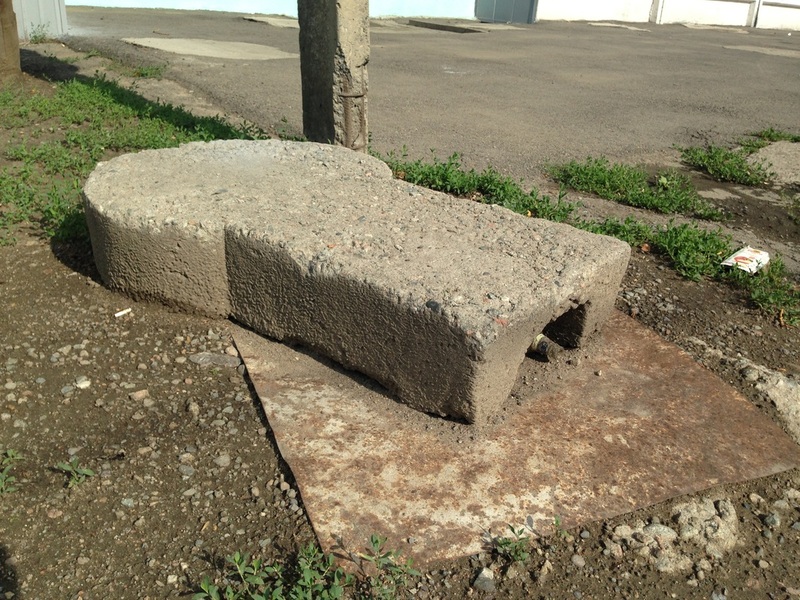 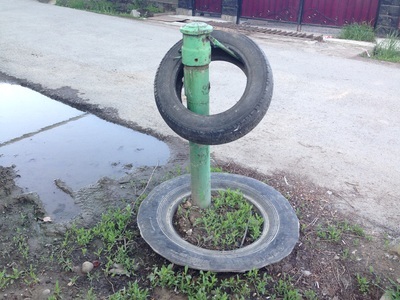 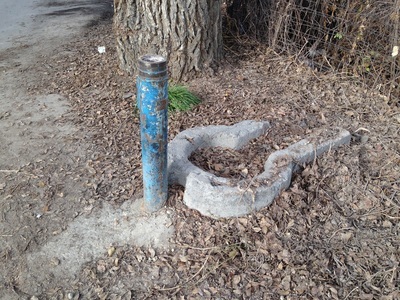 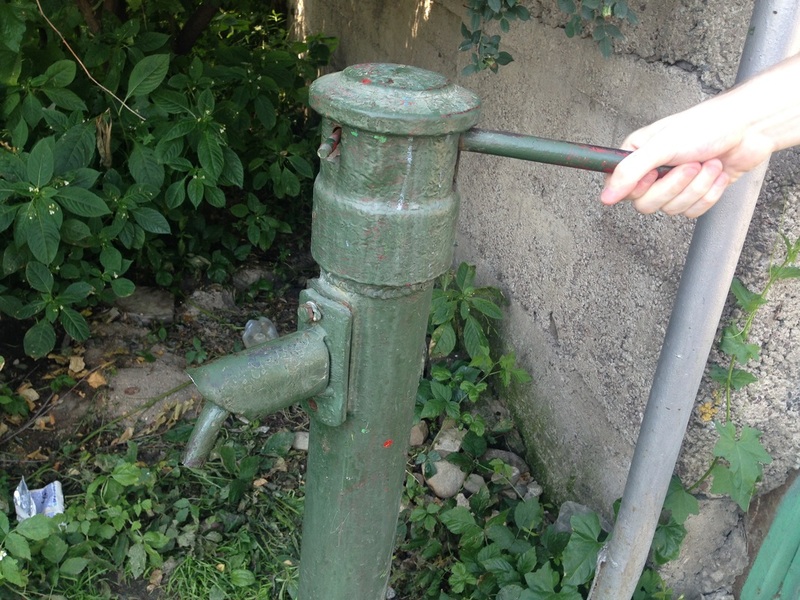 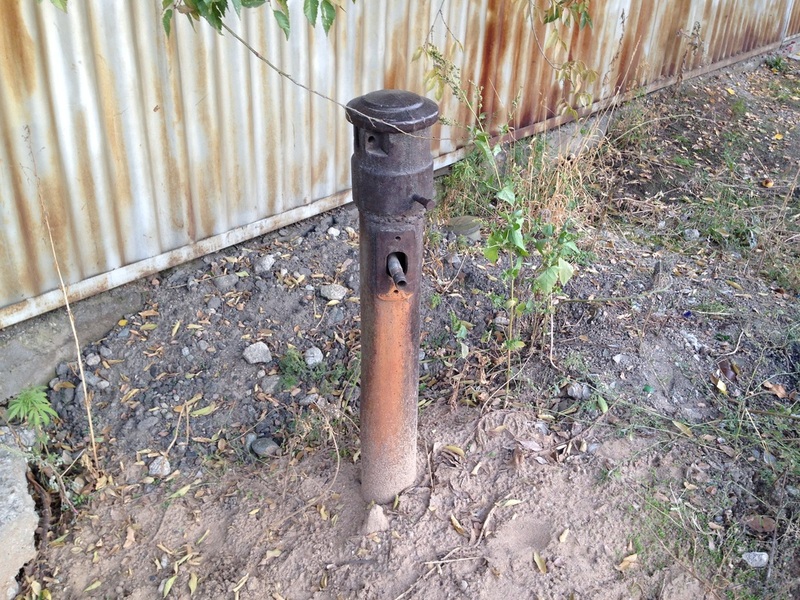 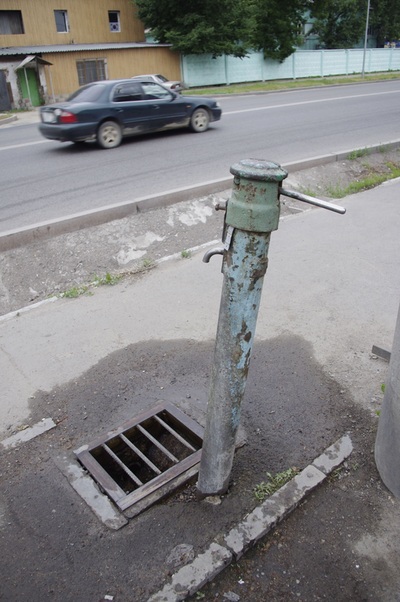 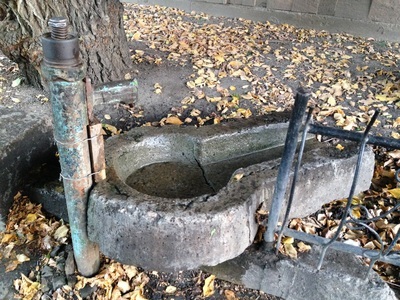 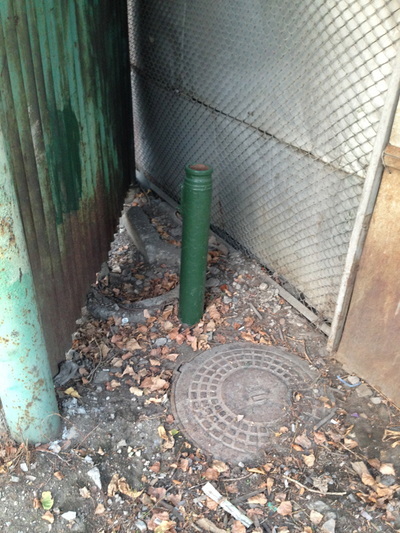 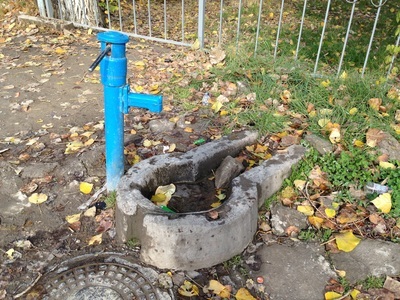 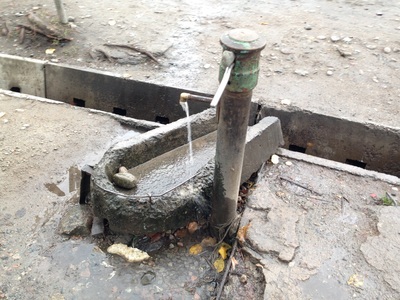 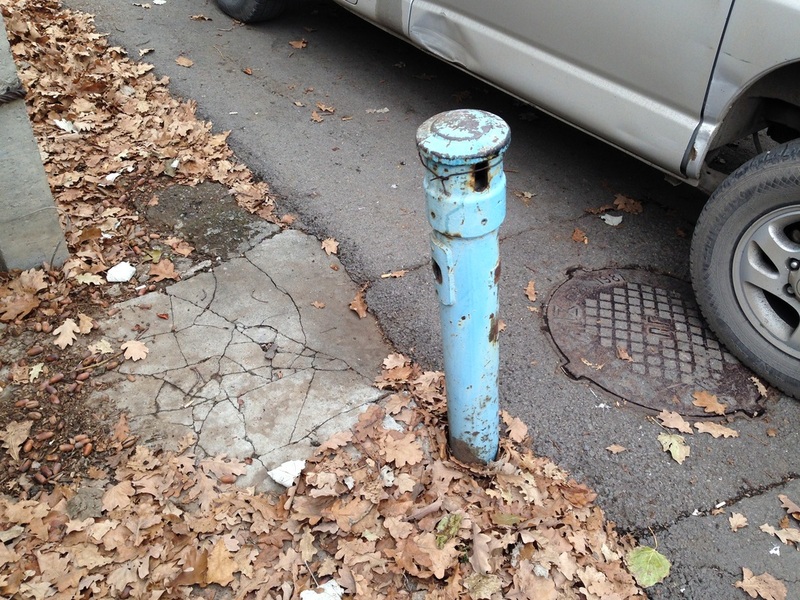 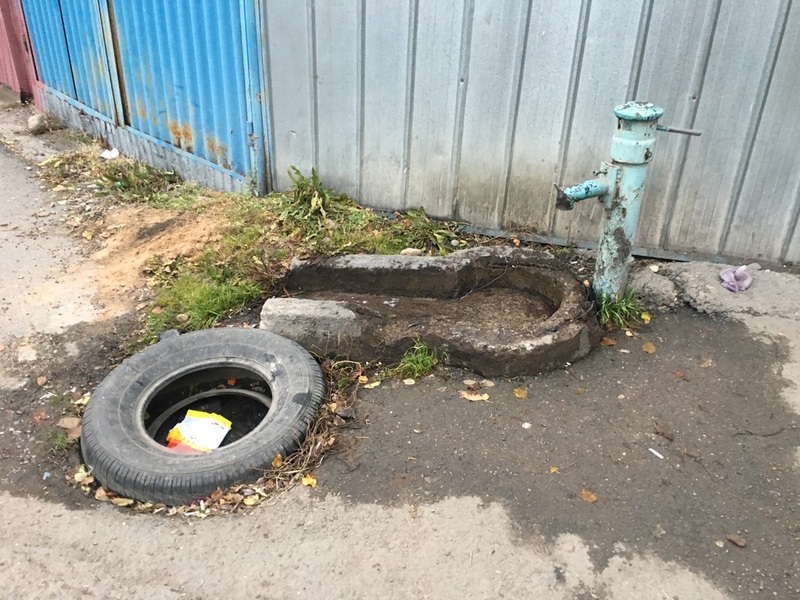 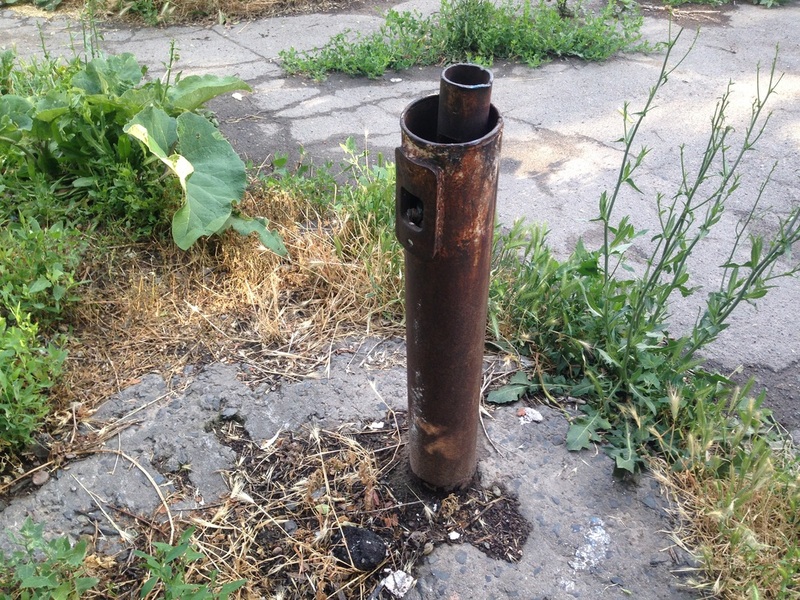 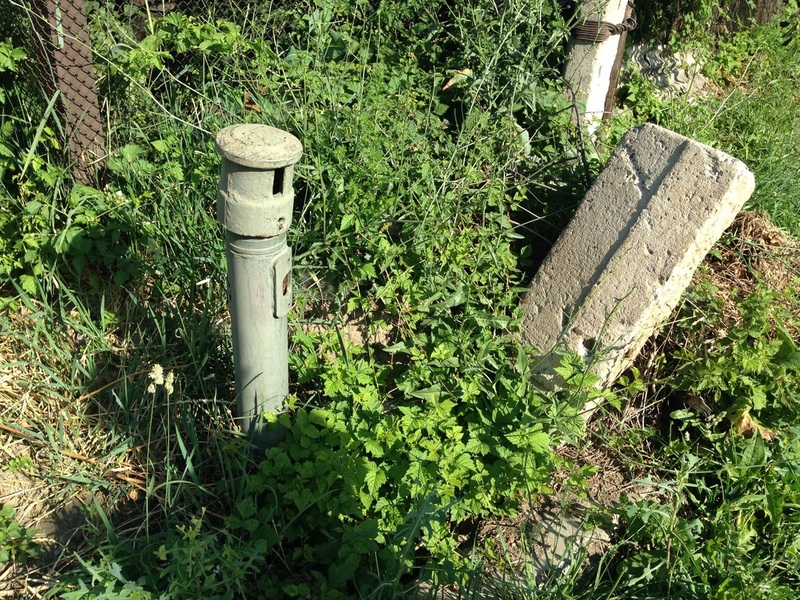 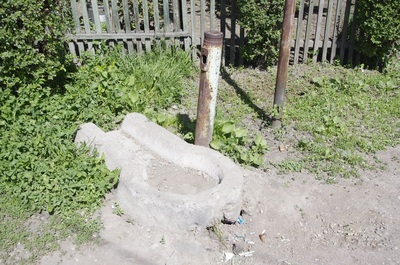 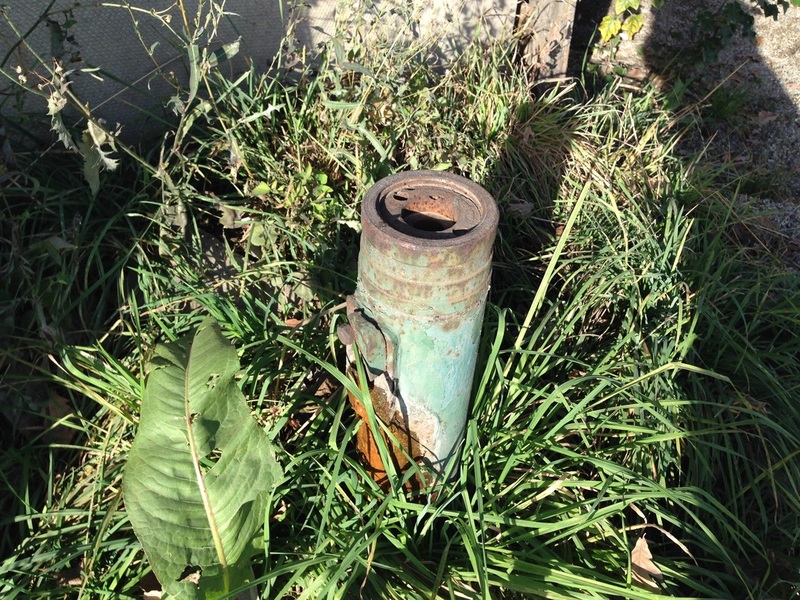 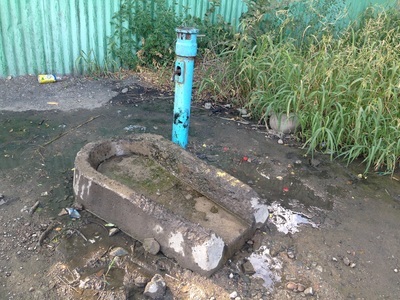 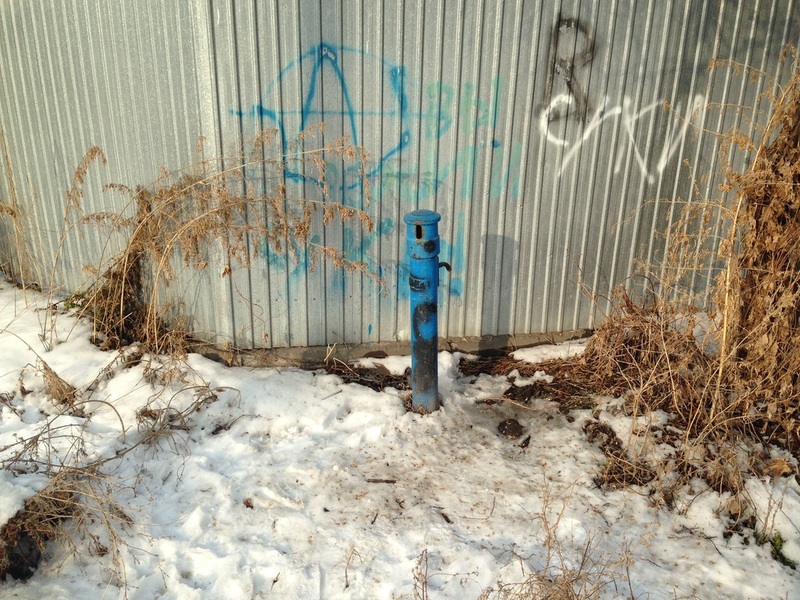 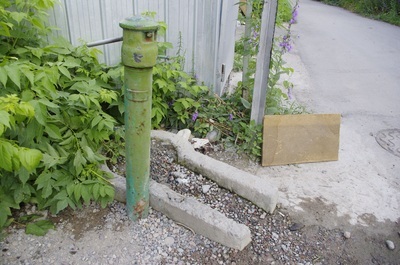 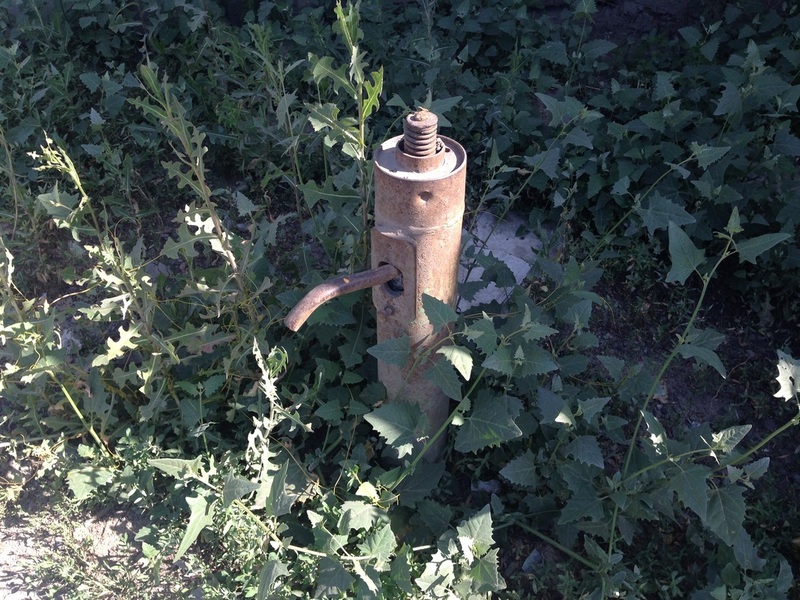 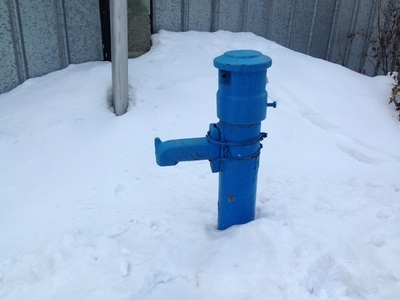 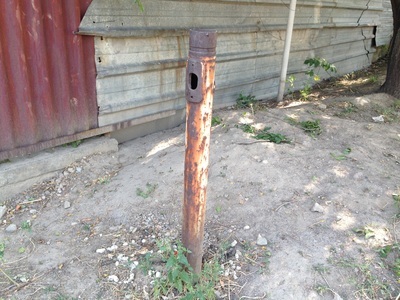 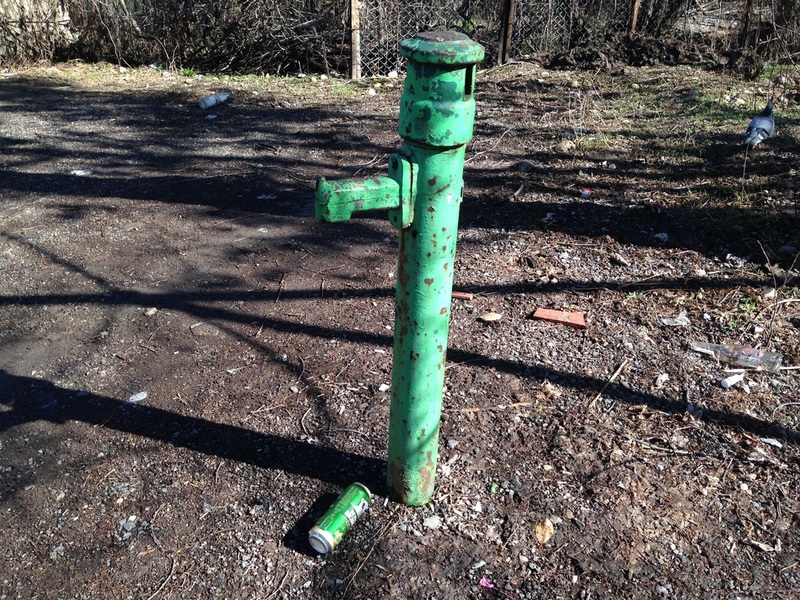 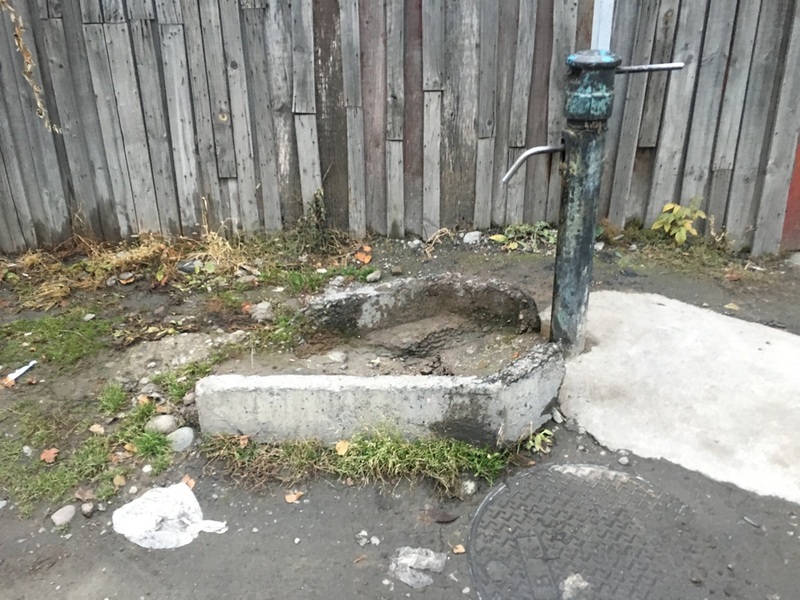 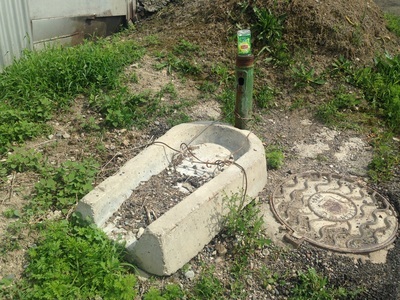 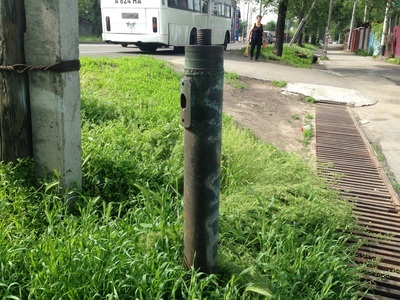 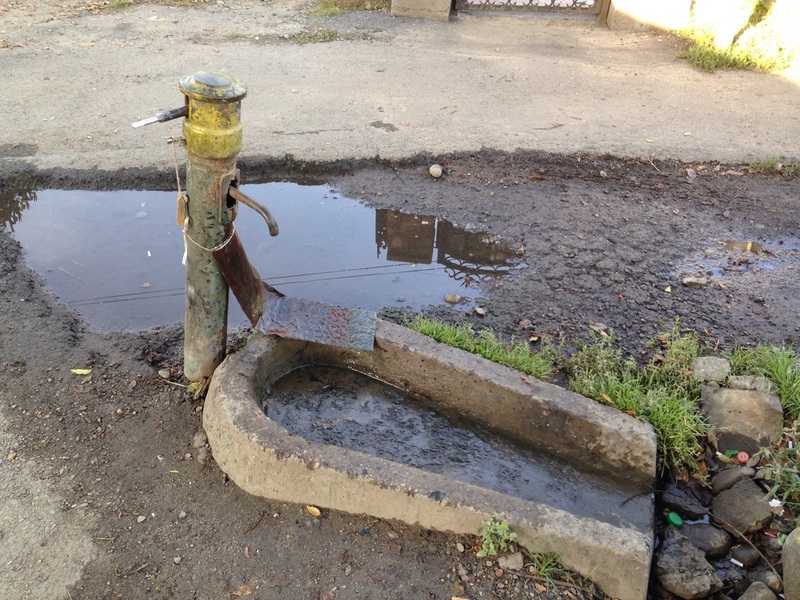 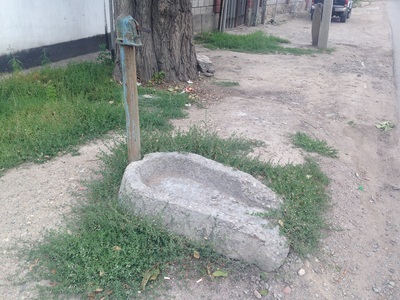 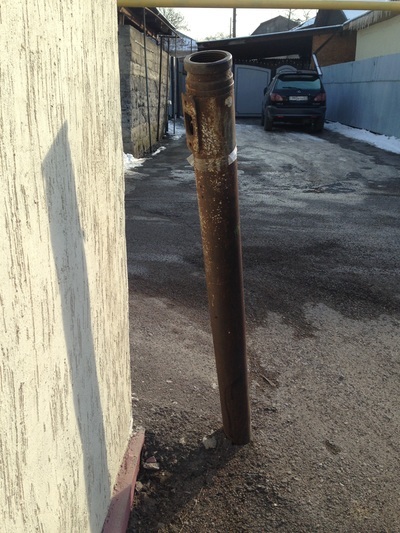 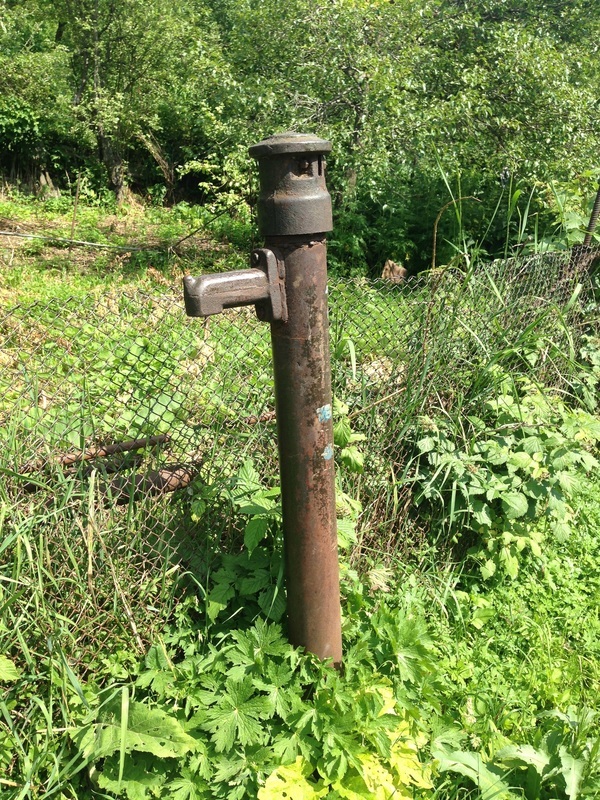 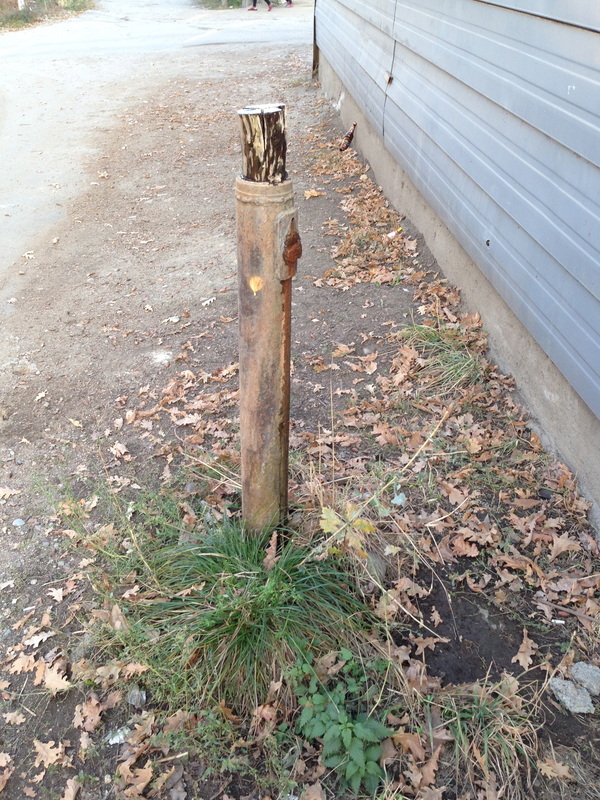 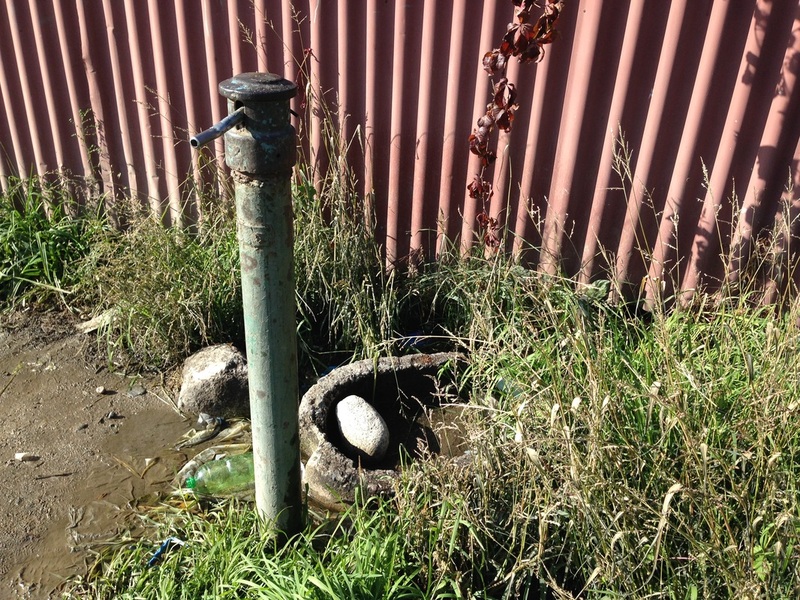 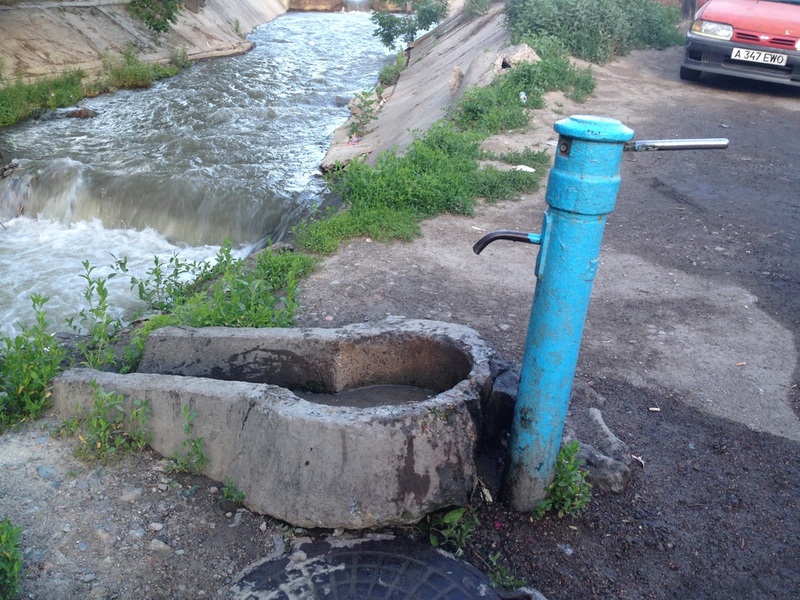 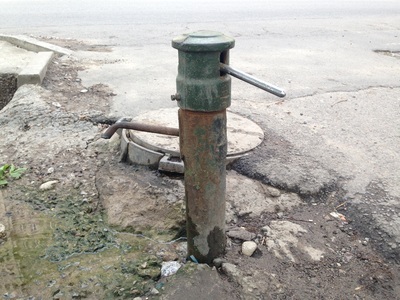 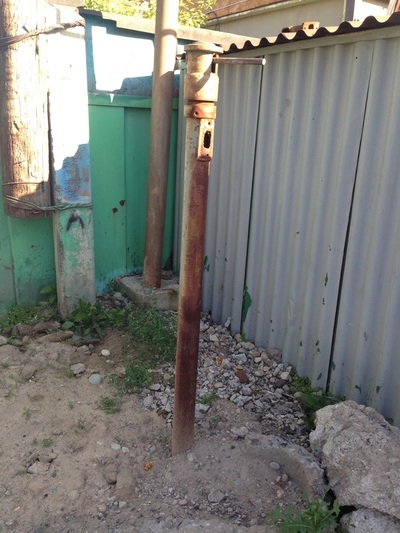 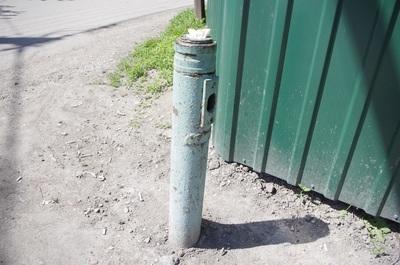 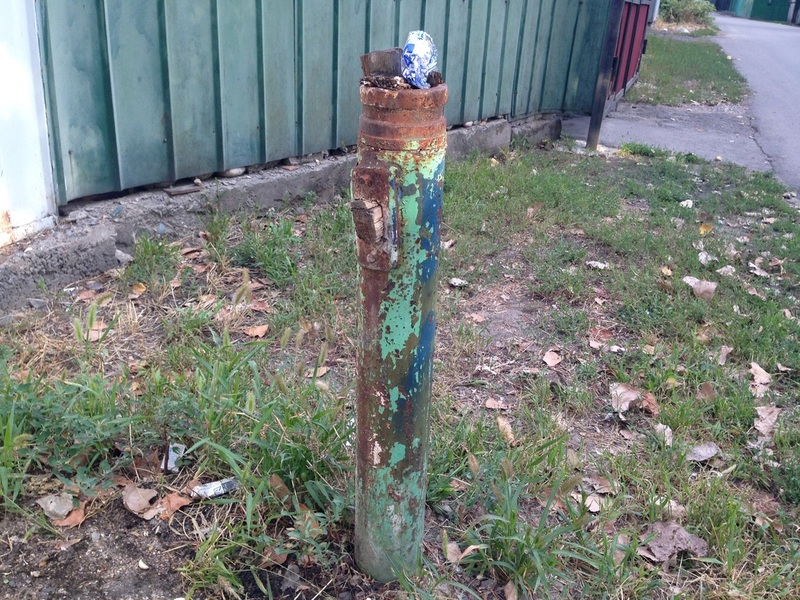 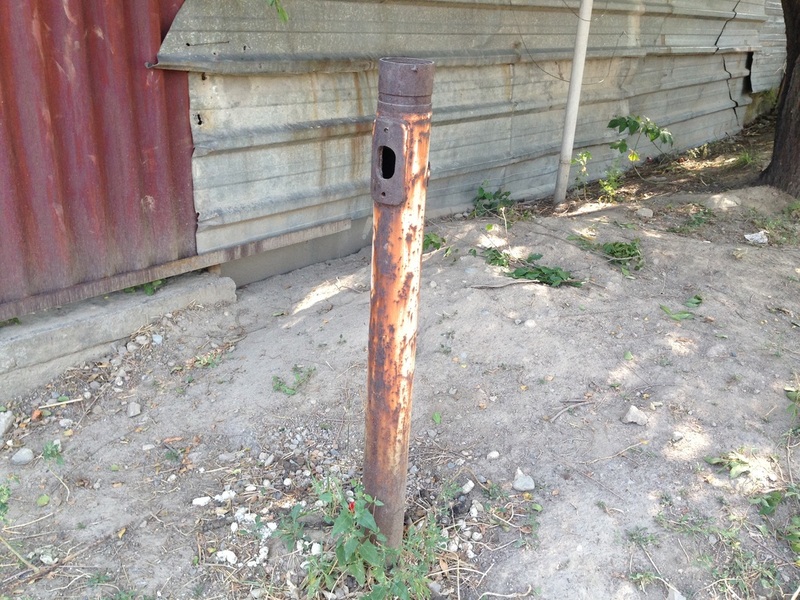 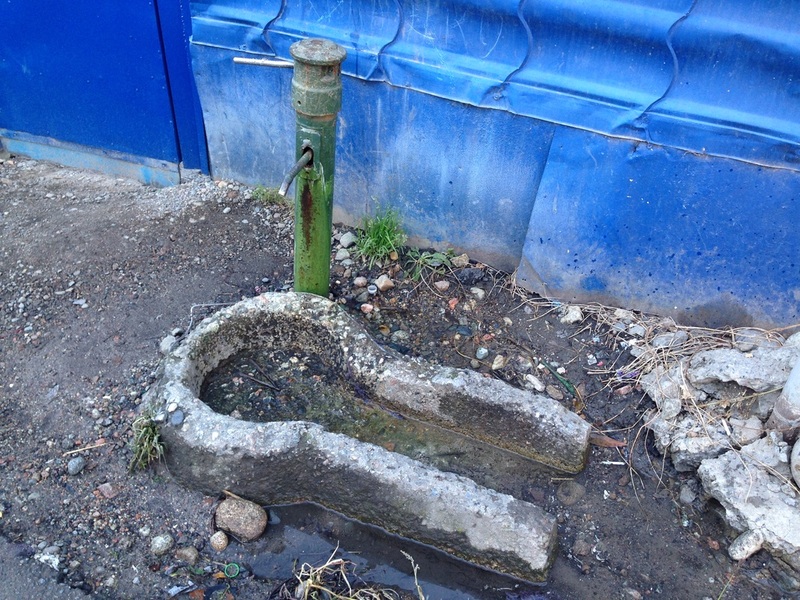 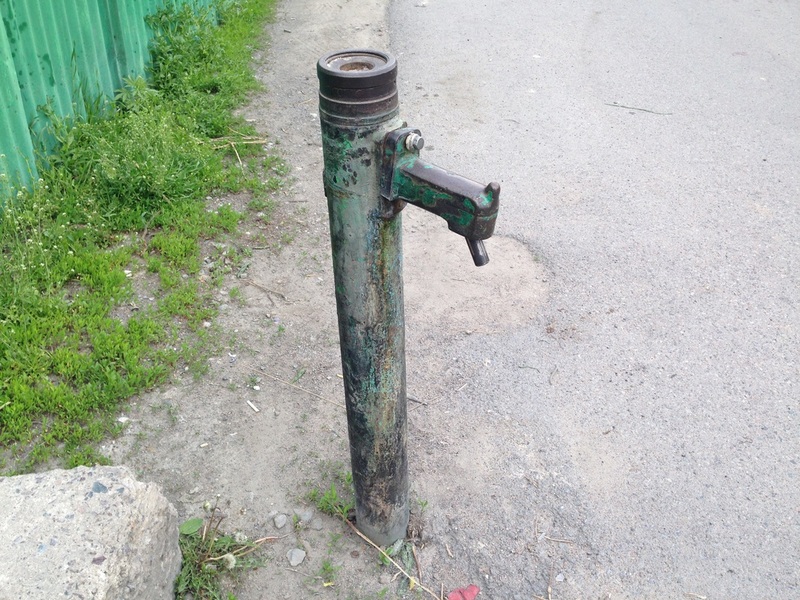 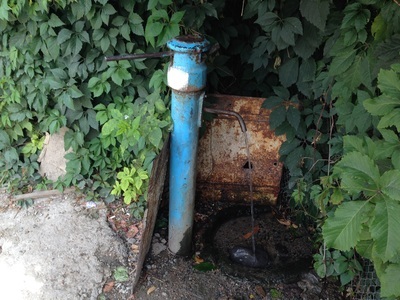 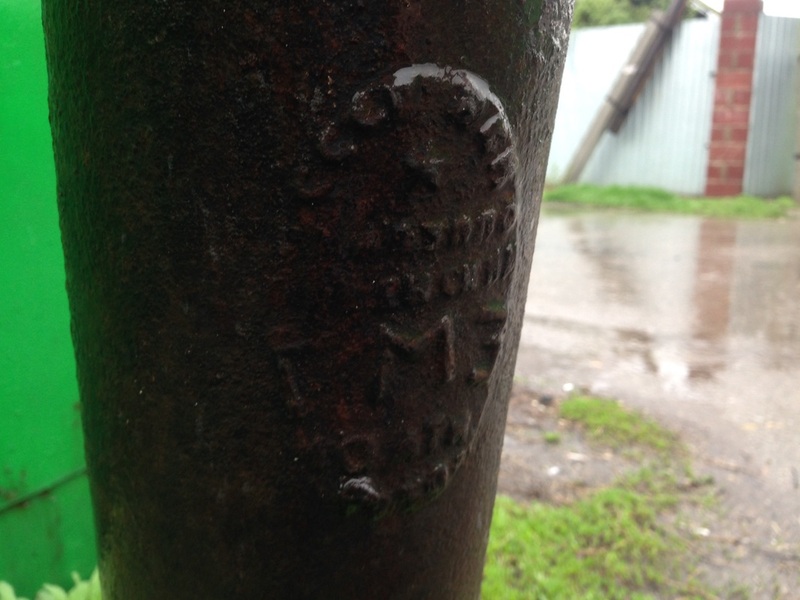 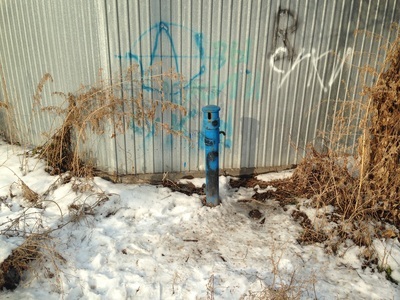 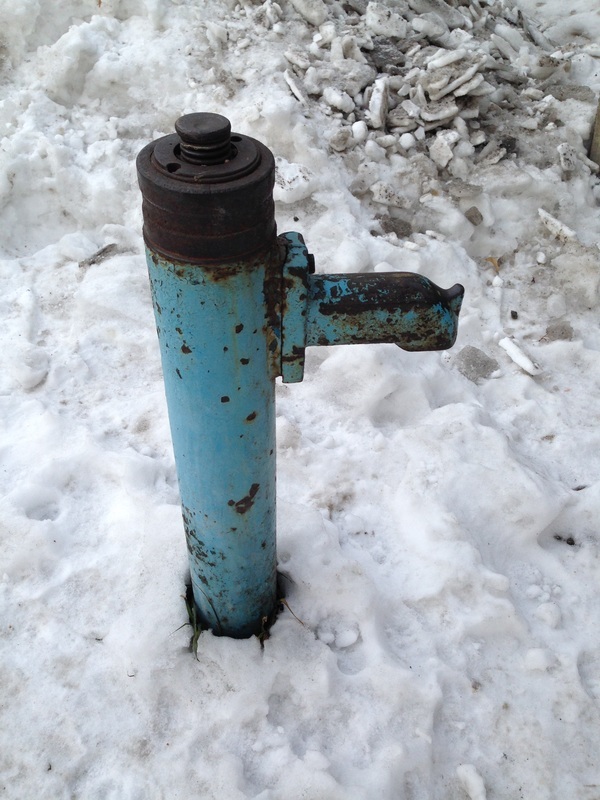 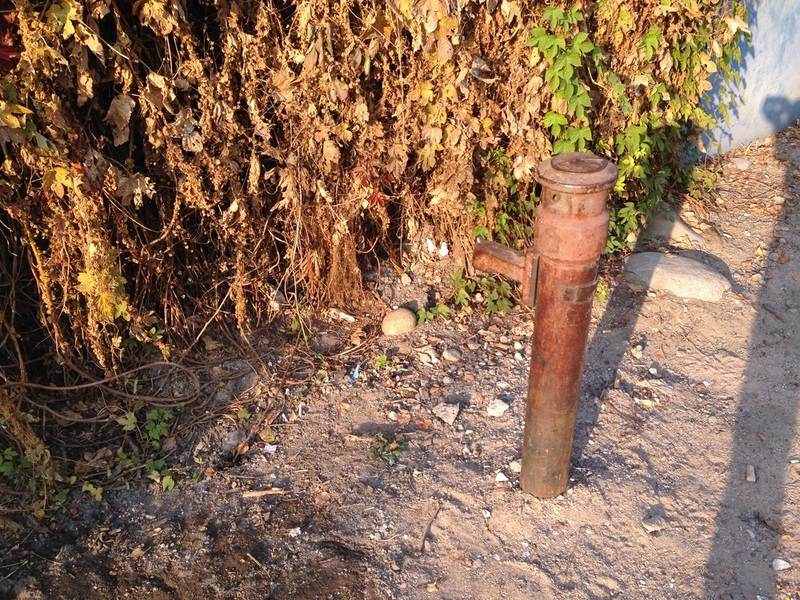 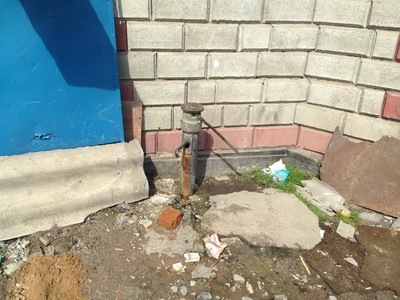 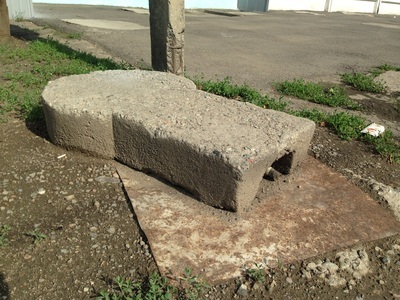 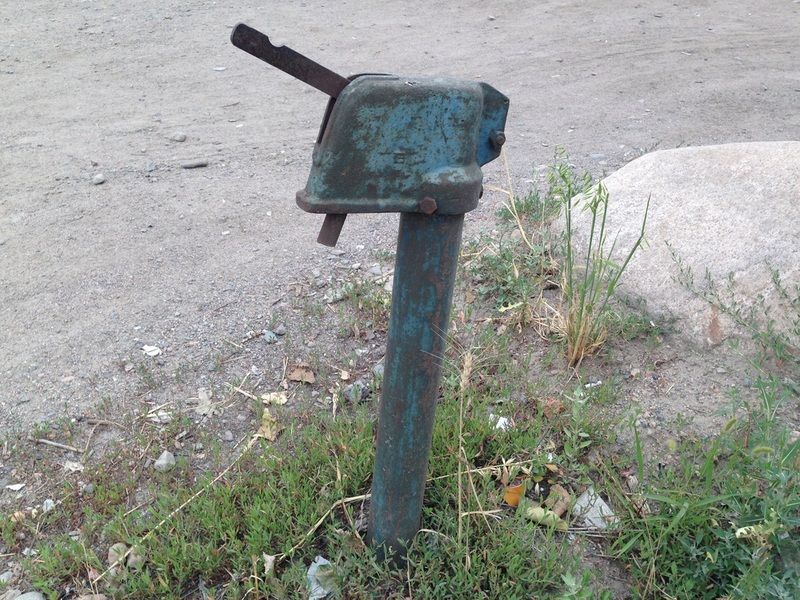 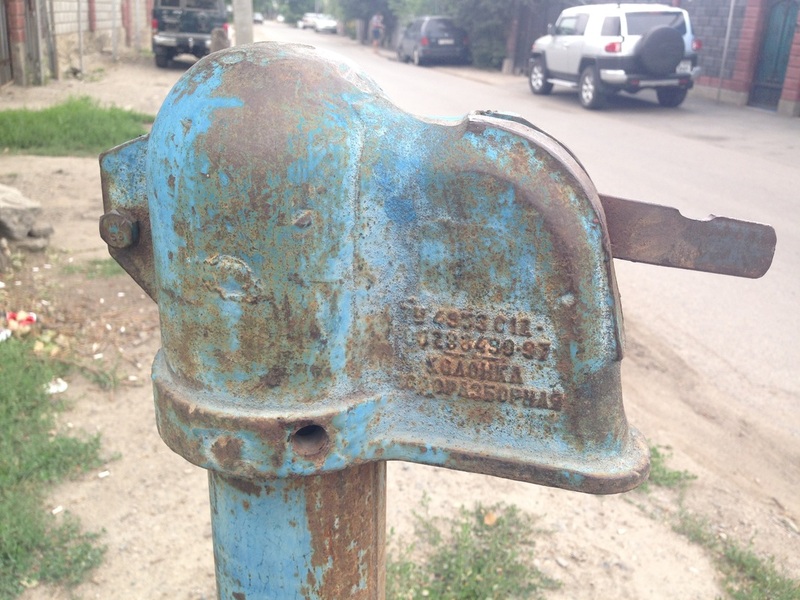 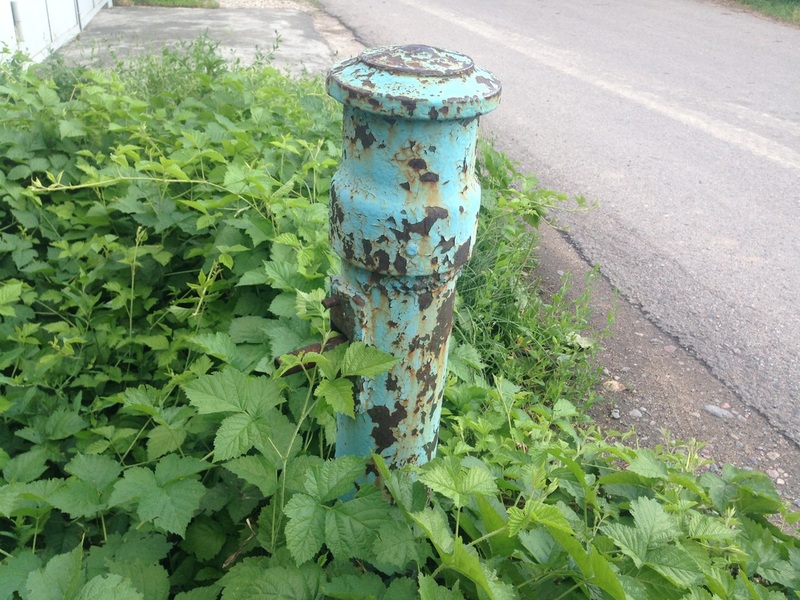 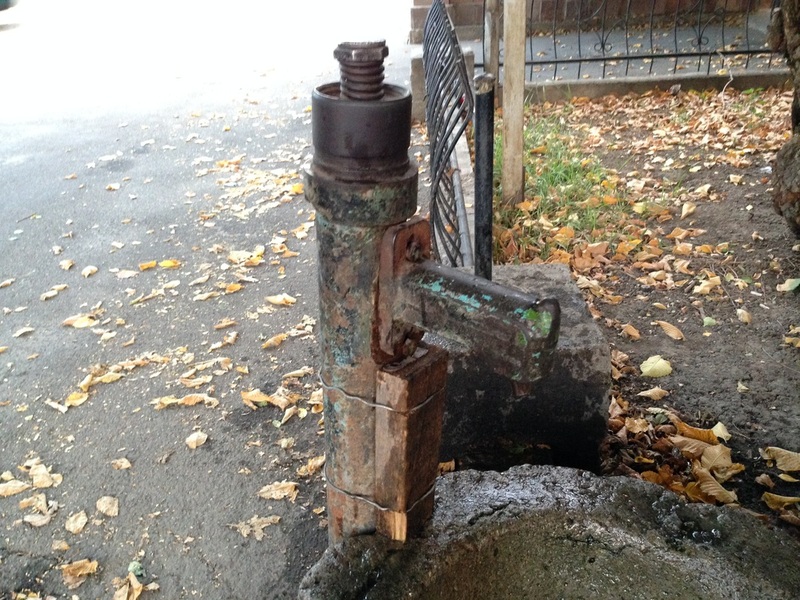 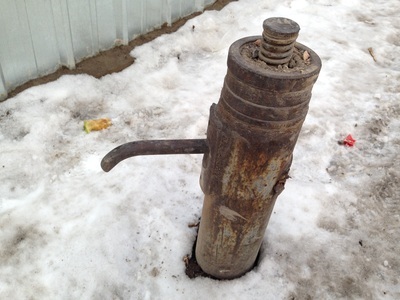 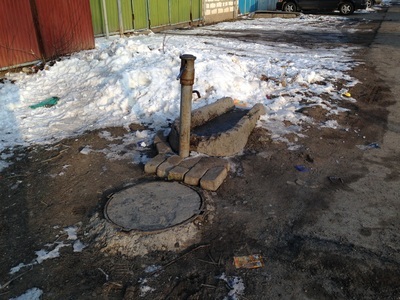 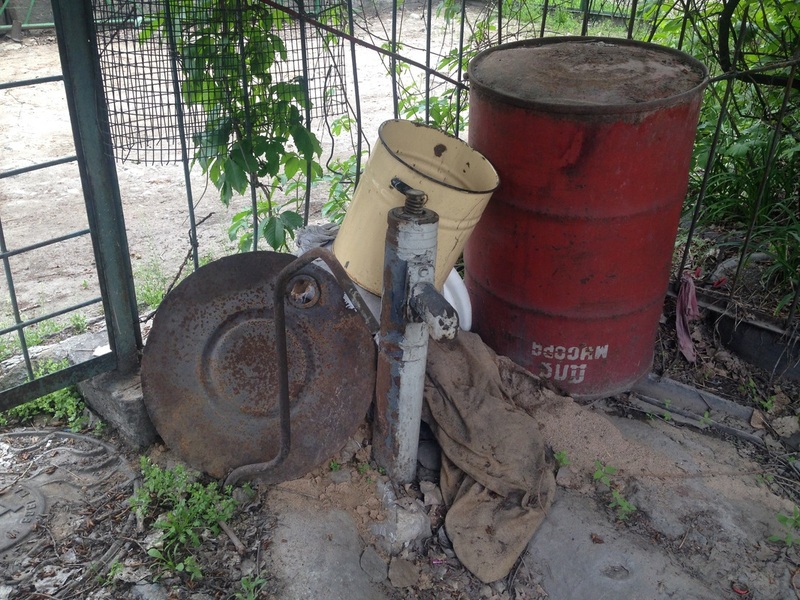 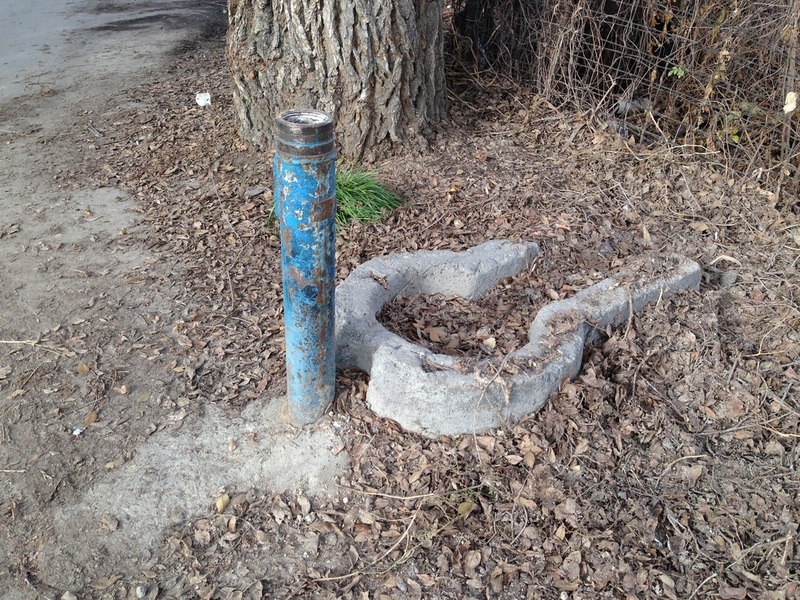 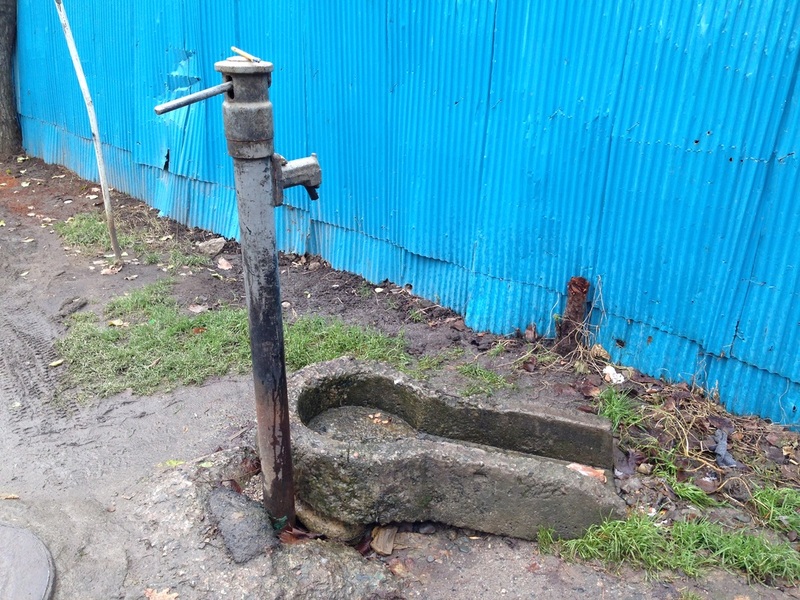 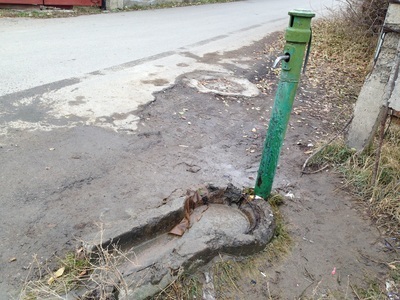 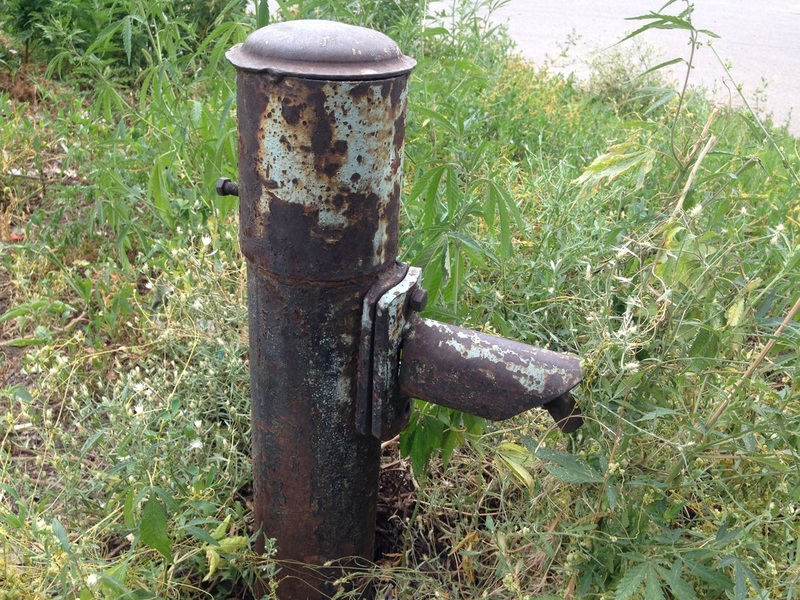 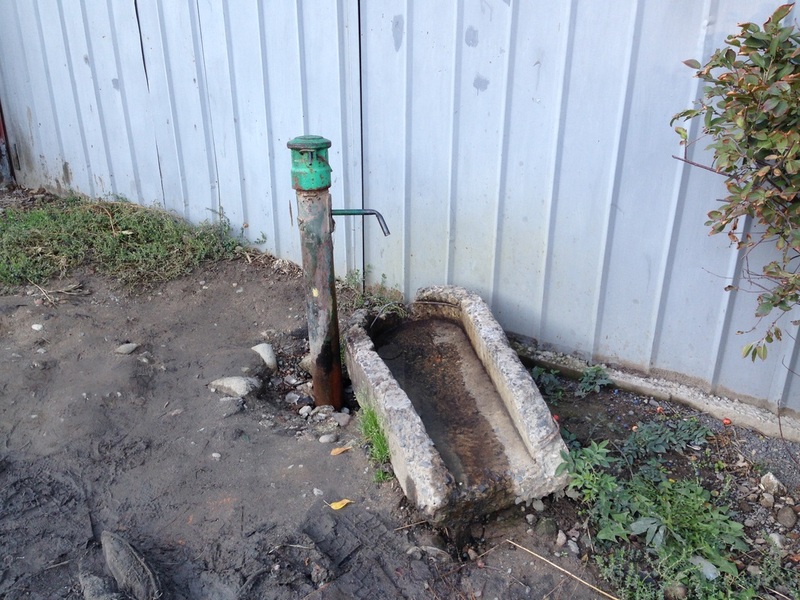 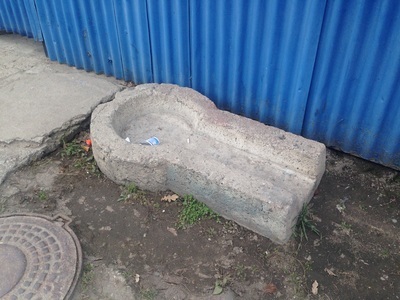 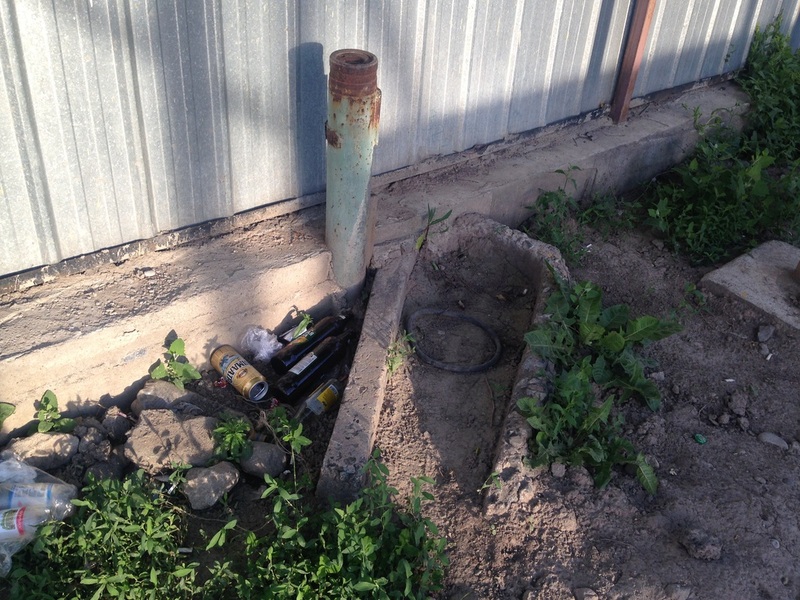 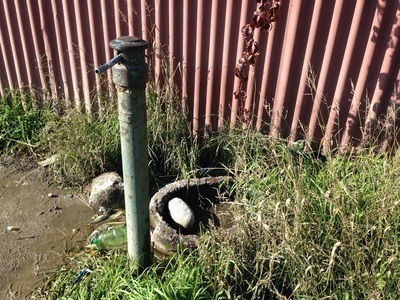 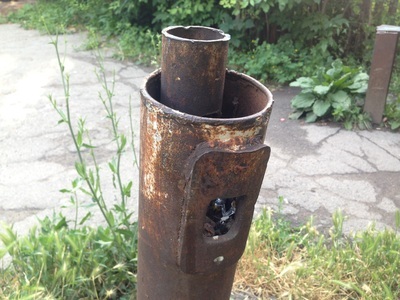 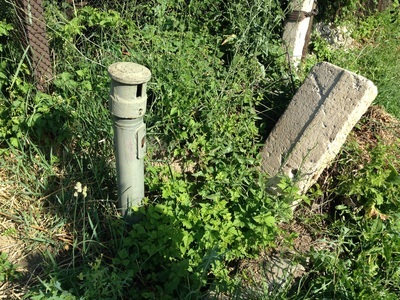 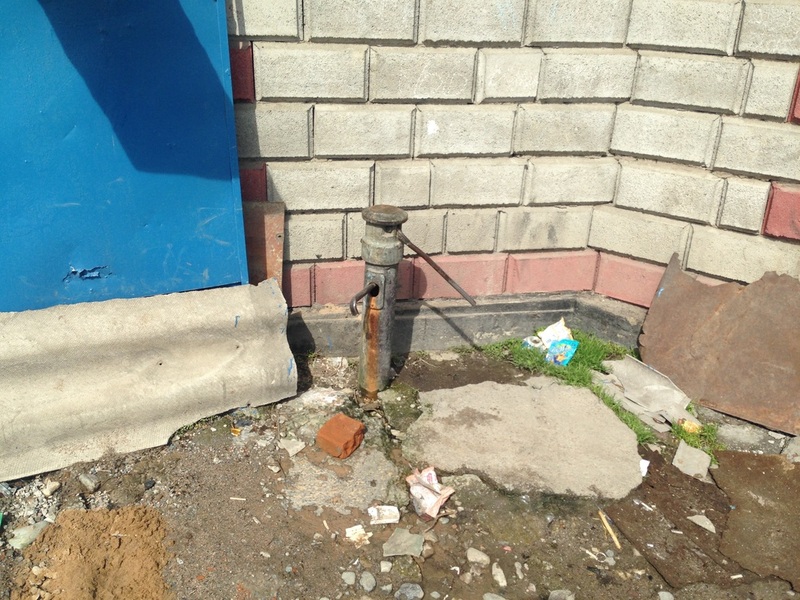 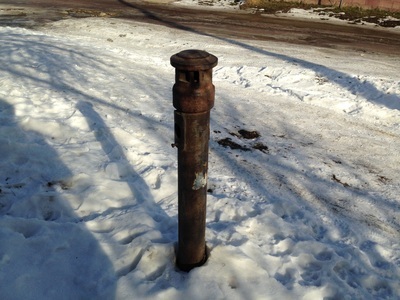 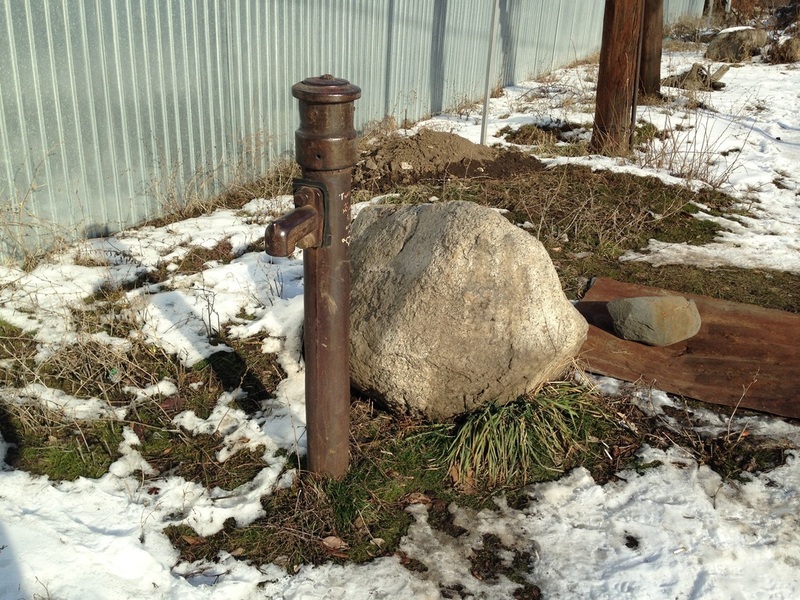 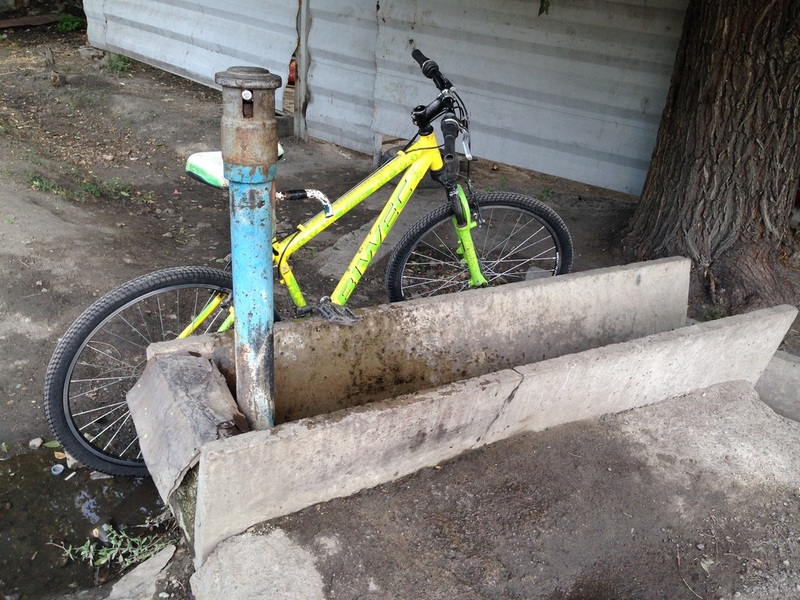 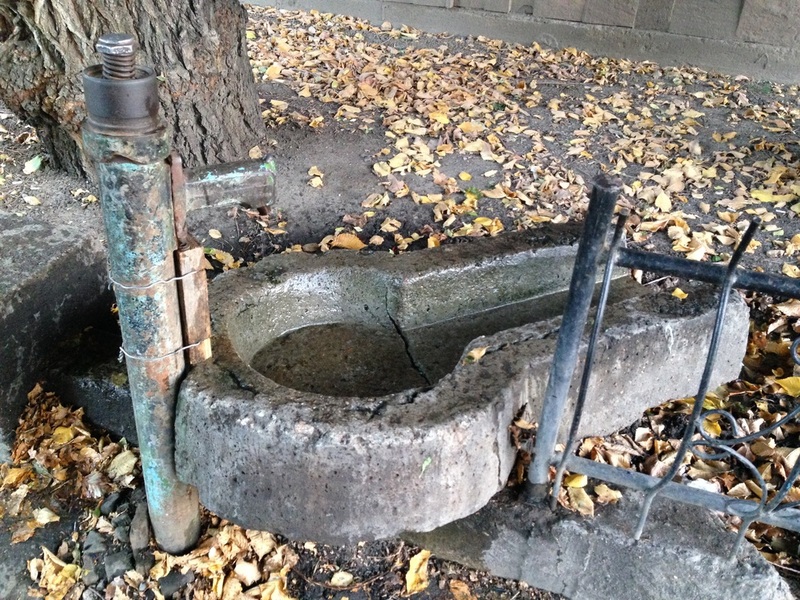 Hand pumps in Almaty are a rare, charming reminder of a past time, when running water in the "private neighborhoods" was rare and you had to trek down the street to fill up a bucket for tea. 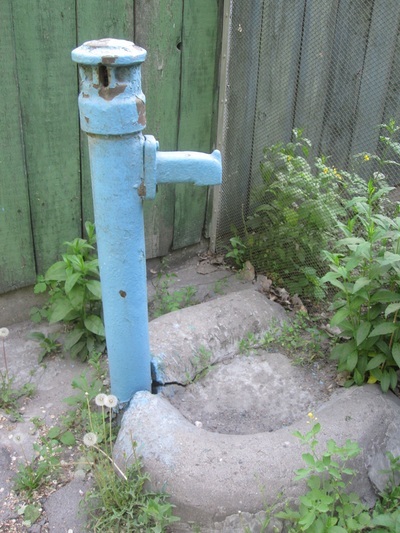 Now, most of these no longer work. 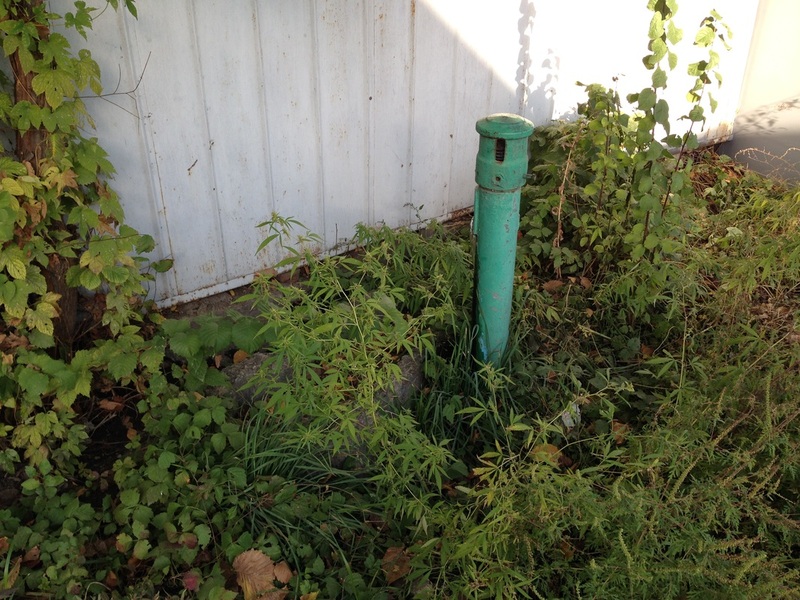 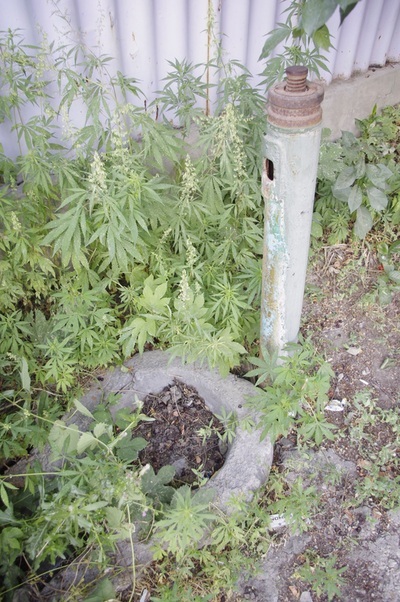 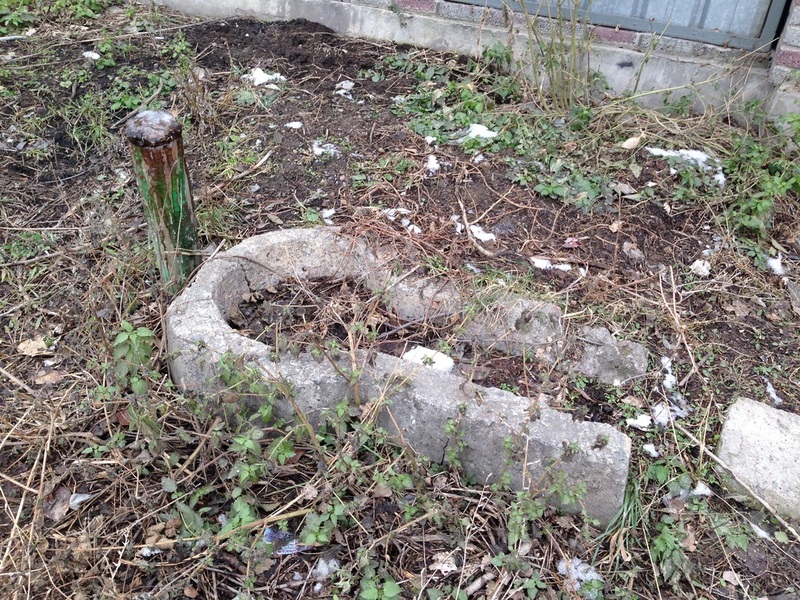 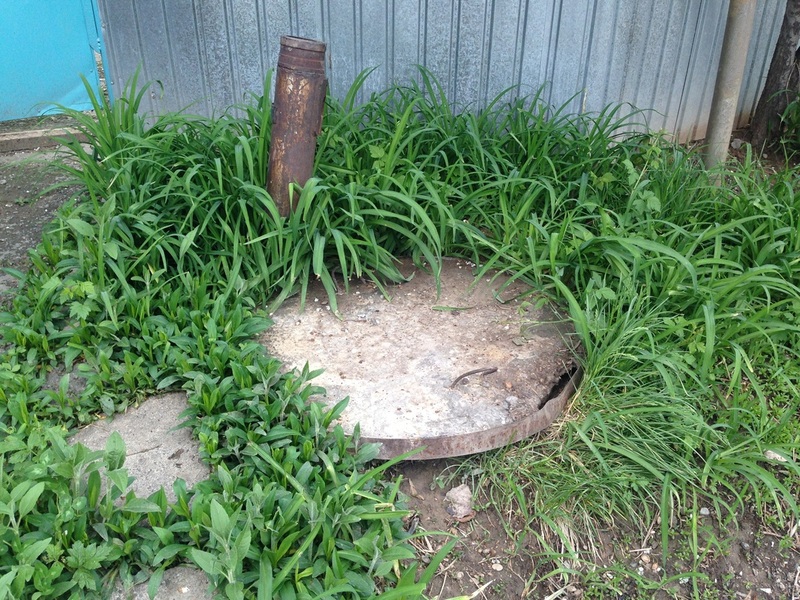 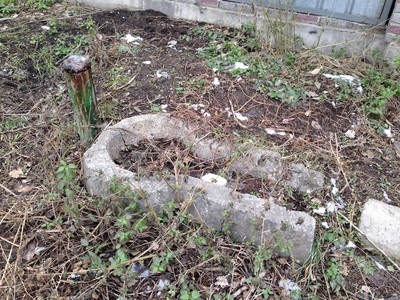 The pump, and the trough at its base, tend to be mighty weedy. 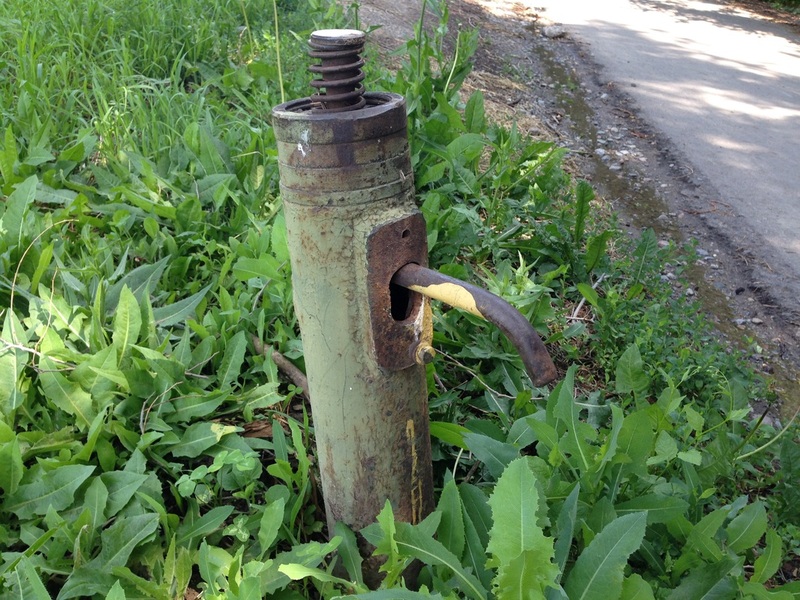 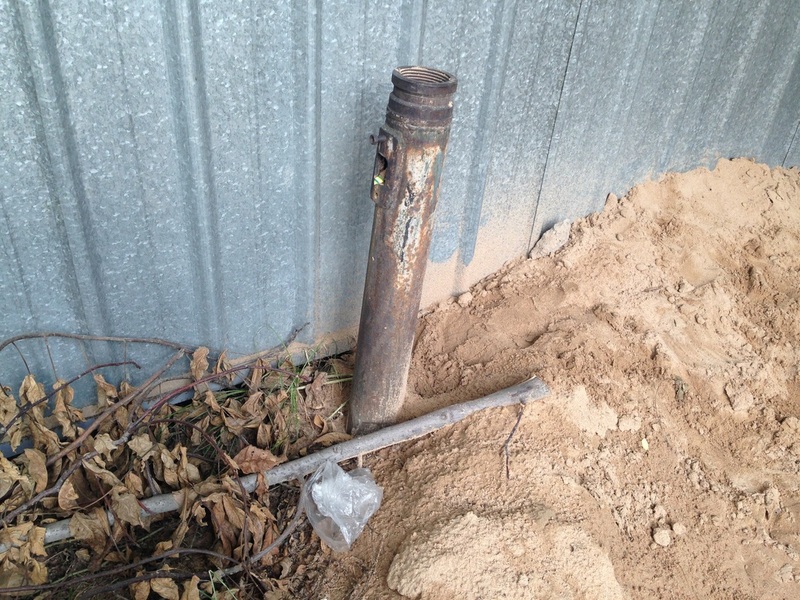 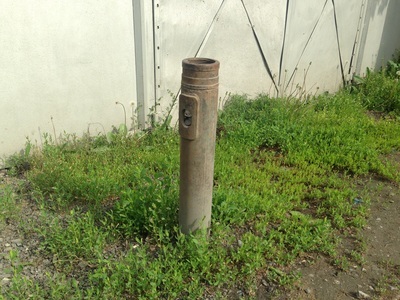 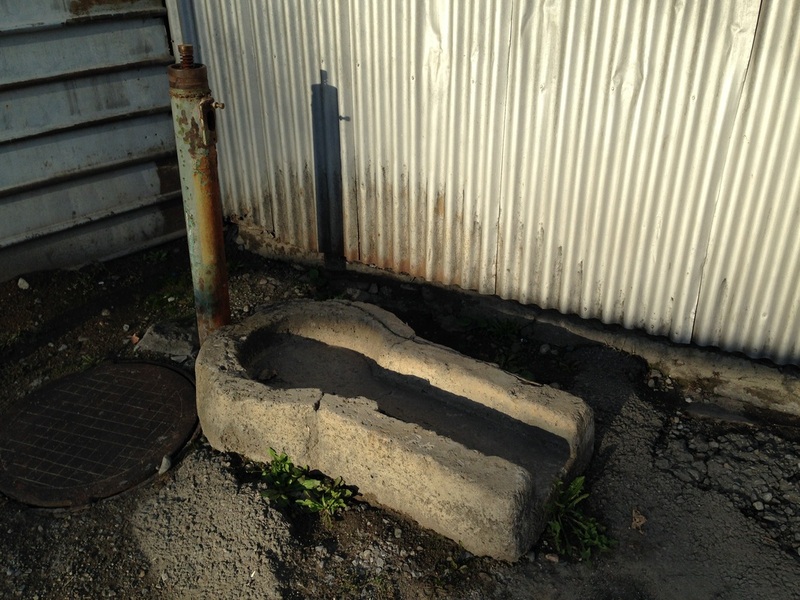 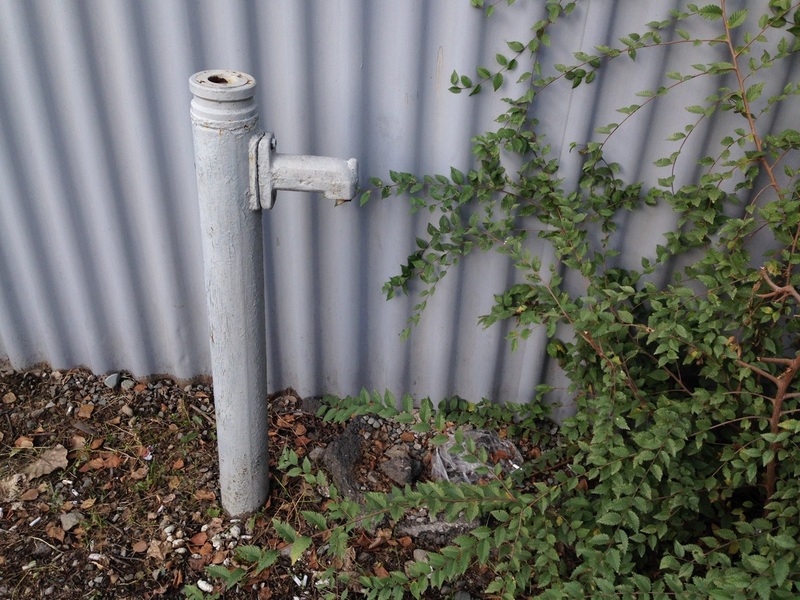 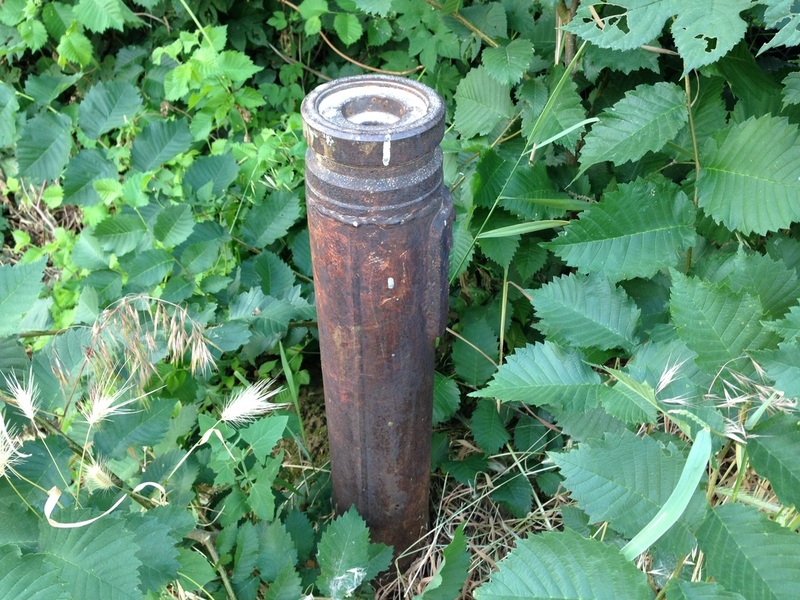 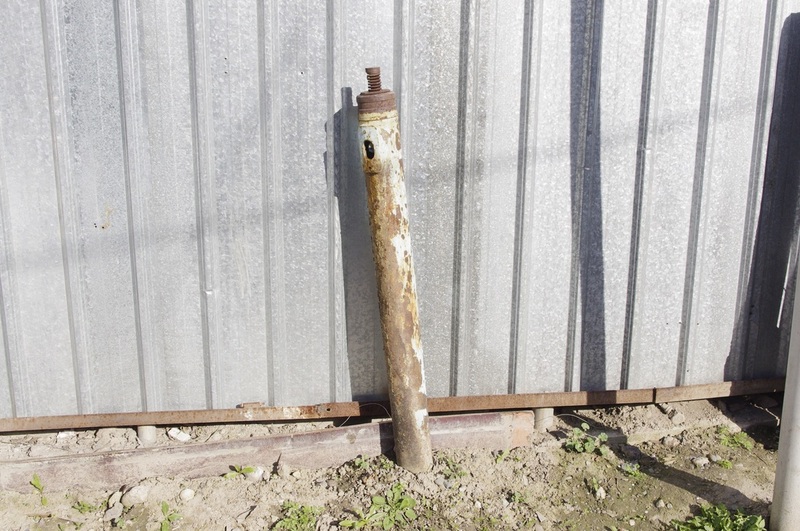 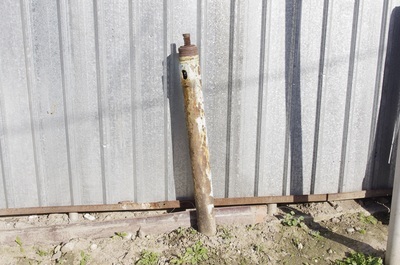 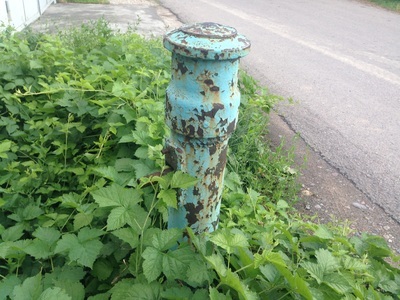 Remarkably, though, some of them still function - great for thirsty strollers who aren't averse to mysterious well water.